Apple trees fall into the group of tropical bonsai varieties. That’s because the apple tree is native to the American tropics. Also known as Pitch Apple and Monkey Apple, you can expect to see beautiful white and pink flowers in summertime, while the tree is in bloom. Subsequently, as the flowers fall off, miniature, coin-sized apple fruits will appear in the case you have taken proper care of your bonsai apple tree. The roots are aerial and the leaves grow in dark green colors. 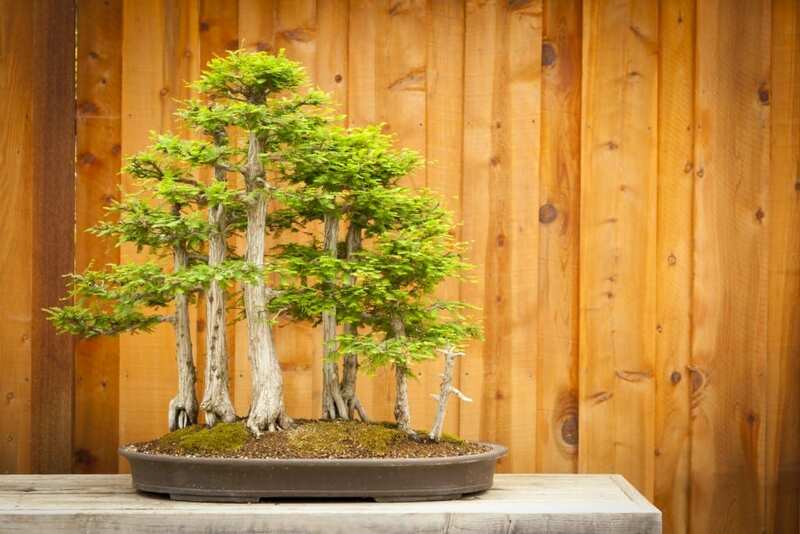 This particular type of bonsais can be molded into various styles and make a wonderful addition to lighten up any free space, such as an office desk or home shelf, to name a few. Not all the people have a green thumb, just like not all of us are good at maths, for example! Thus, if you are not the type of person who does great with gardening tasks you can still admire Bonsai, even without the needed skills and/or time and patience to grow a real bonsai tree. 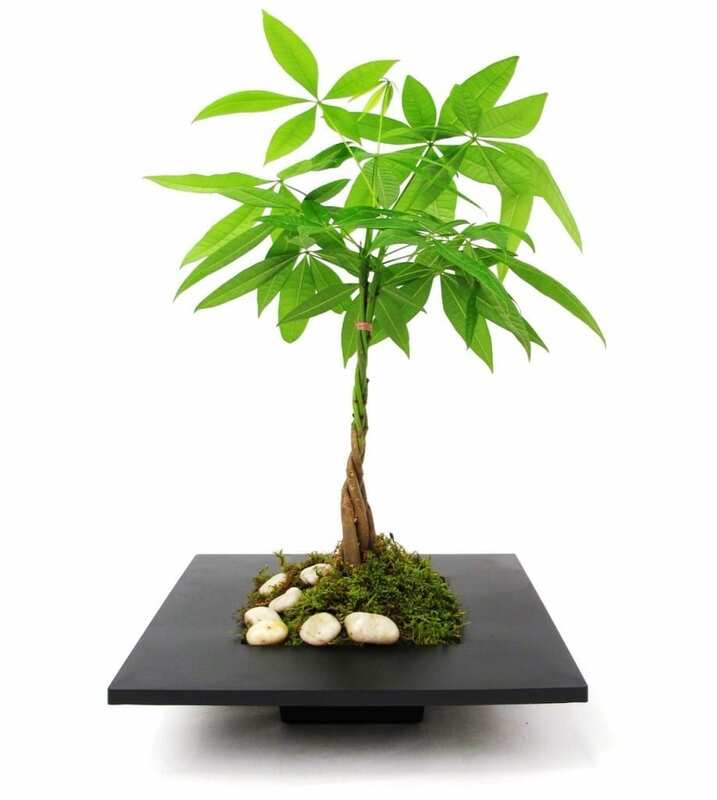 Artificial bonsai trees have become extremely popular. More and more people appreciate the intricate beauty of Bonsai but simply lack the time to devote into bonsai cultivation because of the busy paced life we lead nowadays. However, artists who can’t paint can also enjoy the delight of gazing at a masterpiece picture, and it is pretty much the same case when it comes to bonsai – beauty and artistry can be appreciated by all aficionados and not just by the artists who participate in the creation of the art itself. In such cases, an artificial bonsai tree can help you enjoy the miniature trees without spending any energy on cultivation or maintenance. 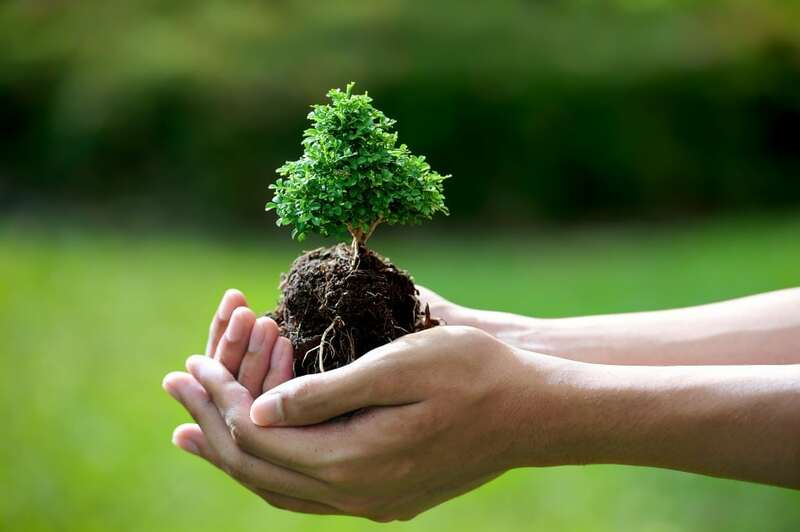 And even though this cannot compare to the rewards and craftsmanship of looking after a real bonsai tree, it is still a fantastic way to bring a piece of nature closer to your heart, despite the artificial materials which compose those type of trees. 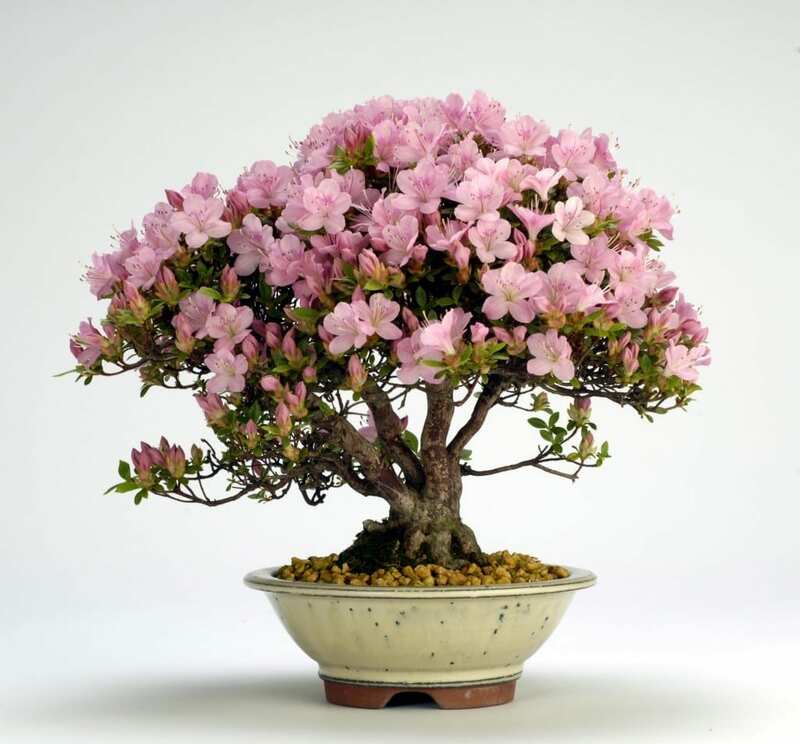 Azalea Bonsai trees hold a very special and prized position in the world of Bonsai connoisseurs. Among the many other amazing plant species, including both trees and shrubs in the realm of Bonsai, which can be trained and designed to look like miniature mature trees, Azaleas vivid the imagination with their one-of-a-kind looks. Azalea trees add both color and bloom to the art of Bonsai. When shaped with care and precision, your tiny Azalea tree can reward you with dazzling clouds of blossoms in pink, red or white. Interestingly, conventional azalea plants and other rhododendrons are typically shaped into compact shrubbery. 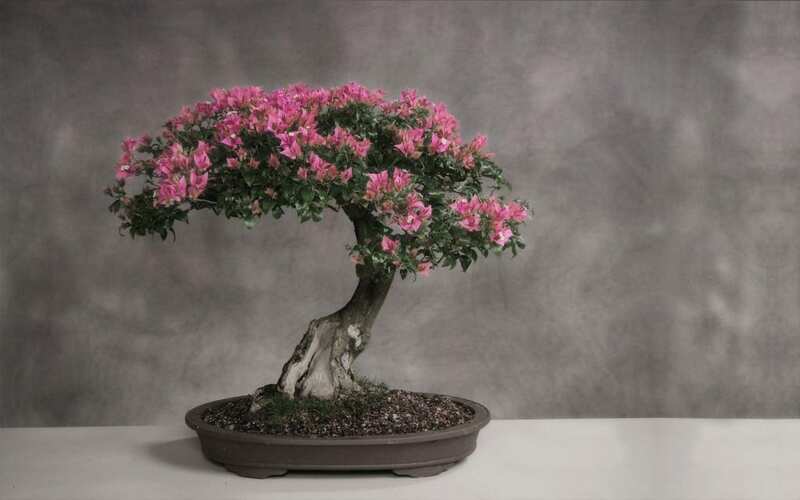 However, when it comes to azalea and bonsai cultivation, the shape most often resembles a stunning flowering tree. But the beauty of azalea bonsais is not solely limited to when the tree is in bloom. Even when blossoms are absent, the leaves spark the visual interest of the contemplators with their extraordinary appearance. Bahama Berry is known under many different names, some of which include Nashiainaguensis, Moujean Tea, Pineapple Verbena, and “I Dry, I Die”. The way this type of tree variety is cultivated into Bonsai is no less intriguing than its various names. Interestingly, when grown as an ordinary tree and in maturity, the Bahama Berry is pretty much unattractive, as compared to the looks it can be molded into through the practice of Bonsai. Originating from the Bahamas Island of Inagua, this type of tree is a tropical variety and a member of the Vervain family. When introduced to the principles of Bonsai, the slim, twisty nature of the trunk add to the graceful and alluring appearance. Nevertheless, Bahama Berry Bonsais smell heavenly and despite the high-maintenance, they make a wonderfully rewarding experience for the more seasoned Bonsai cultivators. Bald Cypress can live up to many, many years, and there are some specimens in particular, which are known to be over 1000 years old. In nature, Bald Cypresses grow in very wet, swampy soils, such as those alongside riverbanks and flood plains. Despite the obviously wetter climate loving temper of Bald Cypress trees, bonsai aficionados have managed to cultivate this particular variety from New York through Minnesota and all the way up to Southern Canada. The forms of a Bald Cypress Bonsai tree differ much from the way a Bald Cypress grows in the wild. With free growing varieties, the structure of the tree follows a circular shape. When it comes to Bald Cypress Bonsais, though, the shape is much more dome-like than anything circular. You can expect to see the needle leaves grow in rows of 2 along the slender twigs. Bald Cypress trees are part of the Deciduous varieties, so leaves will fall off during the winter. However, with this particular type of tree, much of the foliage may remain intact until springtime. Most of the associations which come to your mind when thinking of a bamboo are probably related to the hallow bamboo stems, often used for building fences, for example. Or it could be the image of cute pandas, munching on a piece of bamboo. 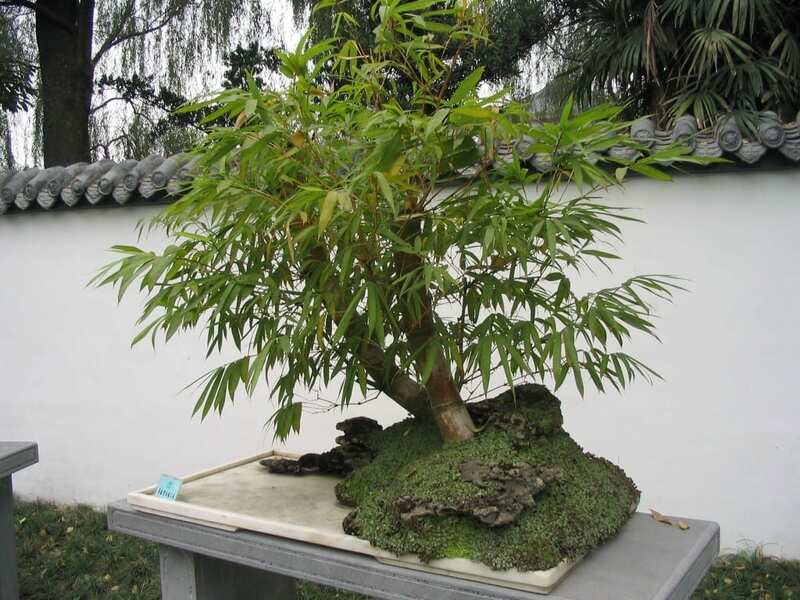 However, there is much more to bamboo that one can learn and especially when bamboo is cultivated as bonsai tree. The so-called Nandina domestic plant is a type of bamboo, also known as heavenly bamboo or sacred bamboo. Anyway, this type of bamboo is actually not a tree at all. Instead, it grows as a small shrub. When merged with the practice of Bonsai, though, the tiny shrub resembles much the shape of a miniature bamboo tree, which is utterly harmonious and enchanting. Black Olive tree species are among the most highly evaluated among Bonsai connoisseurs. That’s mostly due to the lush leaves and the intriguing growth pattern of this type of Olive tree. When grown into Bonsai, Black Olive trees will flourish, provided the climate you live in is warm. Thanks to the genetics of Black olive specimens, these plants thrive on tropical and subtropical climates. What’s more, if you happen to be located anywhere near the sea, you can cultivate your black olive bonsai tree with huge success since these species have a very high tolerance to salt. Native to the geographic regions of Cuba, Puerto Rico, Florida Keys, and the Bahamas, those precious trees remain green all-year round, spreading both their beauty and vitality generously. Just like the very mention of the name suggests, the Bonsai Money tree is a symbol of prosperity and luck. Nevertheless, it is believed that owning such a tree will bring wealthy harmony into your home. 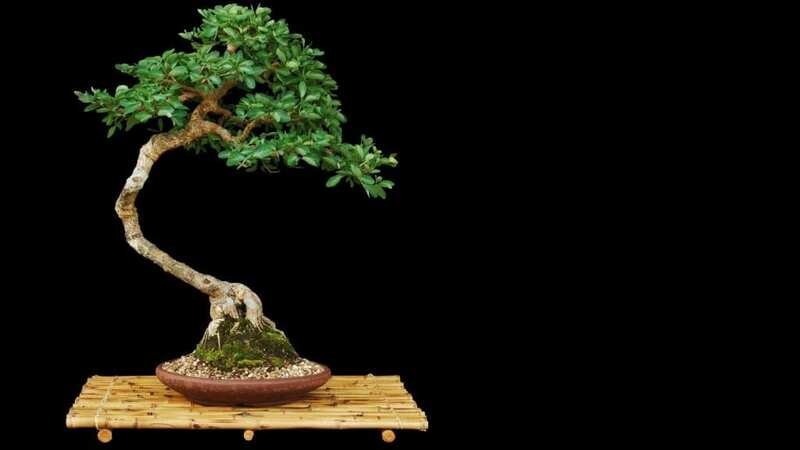 Interestingly, the fame of the Bonsai Money tree is spread as far as the Orient, where people cherish the Jade tree for bringing “good fortune” to its owner. Other popular names of this amazing tree specimen, apart from Jade tree, include Guiana chestnut, Malabar chestnut, Provision Tree, Saba Nut, and Pimpo. Suitable for growing both indoors and outdoors, as long as warmth and plentiful of sunlight are provided your Bonsai Money tree specimen will reward you for your care and attention. Bougainvillea is named after the French Navy Admiral, Louis Antoine de Bougainville, although this plant species has little to do with France. Instead, the magnificently-colored blossoming woody vine variety is native to regions of South America, predominantly Peru, Argentina, and Brazil. However, it was in 1978 when the Bougainvillea was discovered while a French Botanist – PhilibertCommerco, was accompanying Louis Antoine de Bougainville on a voyage, which aimed to circumnavigate the globe. 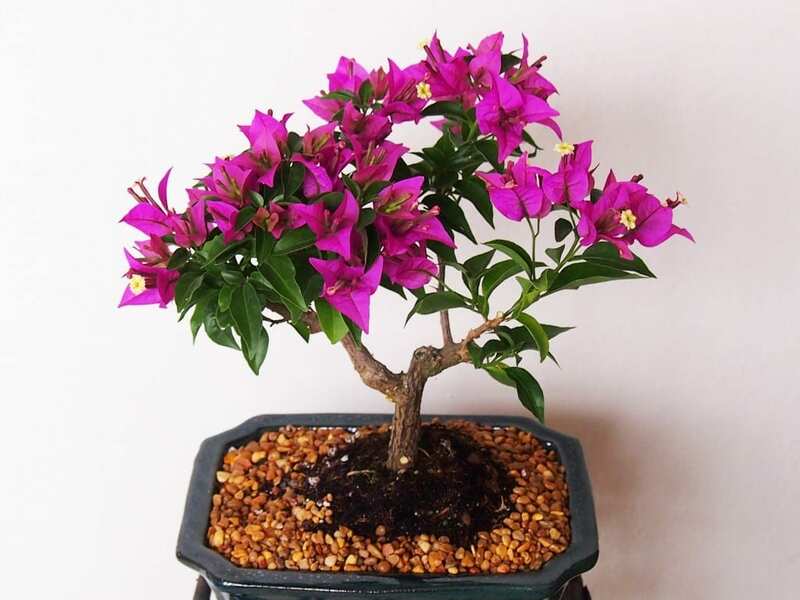 When looking after your Bougainvillea bonsai tree, keep in mind that this species require plenty of direct sunlight in order to flourish. Interestingly, the enchanting purple-pink blossoms are not the flowers of this amazing plant but its leaves! The actual flowers grow rather small and bloom in yellow. Boxwood trees varieties are extremely well-suited for Bonsai cultivation. In fact, if you have ever looked at photos of English landscaping, you have most certainly stumbled across this particular plant. Two of the most famous types of Boxwood tree are the Japanese Boxwood (Buxusmycrophilla) and the Common Boxwood (Buxussempervirens). Boxwood trees can be designed into multiple styles and their natural forms are easy to twist and shape into stunning living statues. 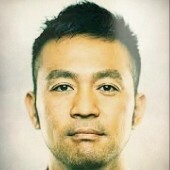 Meanwhile, the pom-pom like appearance is more than pleasing to the eyes of the contemplators. With more than 70 varieties of Boxwood, these gentle creatures are very sturdy, so even beginner gardeners can succeed in cultivating the miniature Boxwood trees. There is something very special about Bromeliad bonsai trees. Above all, these varieties have a striking durability, thanks to the intricate root system, which is a common characteristics of terrestrial Bromeliad species. But what’s more, the leaves coloration ranges widely, giving off an additional sense of magic to plants, coming from the Bromeliad family. The colors will vivid your imagination, varying from maroon through shades of green and gold. On another note, some Bromeliad bonsais can show charmingly hued spots of red, cream, or purple undertones. Nevertheless, the foliage which results from your efforts as a bonsai tree gardener can be broad and flat, or completely the opposite – symmetrical and irregular. When all of these wonderful color potential characteristics are summed up, together with the deep and complex root system, which absorbs both water and nutrients very well, Bromeliad species are truly one-of-a-kind Bonsai varieties. Buddha’s Ear falls into the Alocasia Cucullata plants family category, which is better known as “Elephant’s ear” plants family. Nonetheless, you can find Buddha’s ear having many other names, such as Chinese Taro, Buddha’s Palm, Buddha’s Hand, Buddha’s First Lily, Hooded Dwarf Elephant tree, or NaiHabarala. This type of plant is native to Southeast Asia, which is logical to assume with the Buddha’s trace found in the name of the species. It may surprise you to learn that Buddha’s Ear bonsai trees can produce miniature flowers, which subsequently turn into tiny berries. The leaves will capture your heart with their glossy, heart-shaped structure. Buttonwood bonsais have this stunning artistic presence, which can be hard to put into words. Sadly, it is often the case that this particular type of tree is being neglected as less attractive than others. But despite being commonly dismissed by many in terms of worthy appearance, Buttonwood Bonsai trees are actually incredibly rewarding to their cultivator. Hardly can the traditions of bonsai cultivation be seen so truly, as with Buttonwood varieties. Just wait until the appearance of deadwood is shaped into a beautiful swan, and you will understand your patience and effort have been worth every minute spent on nurturing your Buttonwood Bonsai. What’s more, this very specimen makes for a great starter kit for healers, who wish to nurture it and coax into bloom. 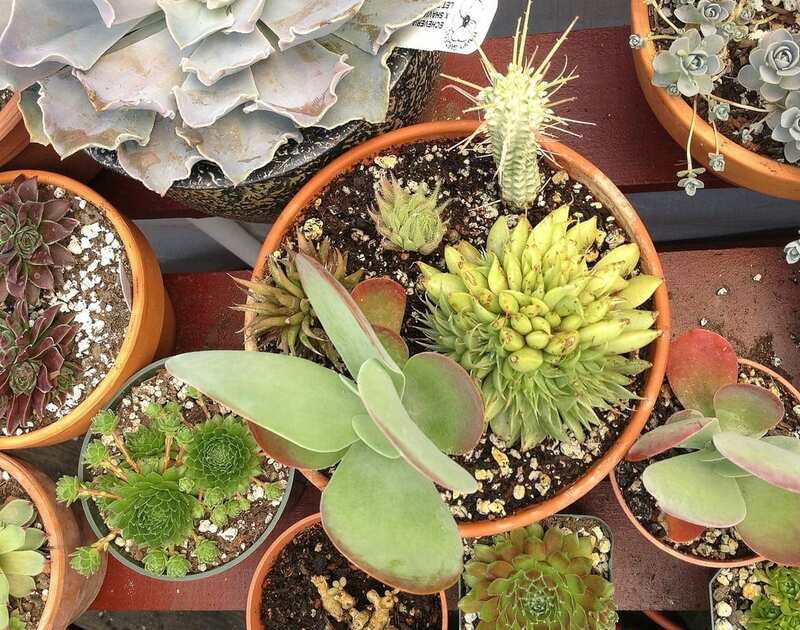 Many people fail to associate cactuses with bonsai, although this combination is extremely low in maintenance but also comes with the one-of-a-kind beauty of cactus plants. In nature, desert-dwelling cactuses are among the most astonishing and utterly unique plants in the entire world. Did you know that the mighty saguaro cactus can reach up to 50 feet in height? Unfortunately, Saguaro is almost impossible to cultivate out of its natural habitat. But with cactus combo bonsais, you can bring the vital energy of the mythical desert beauty straight to your home. When talking about a cactus combo bonsai, what is essential to remember is that it consists of one or more cactus plants, grown together. Most importantly, it is only specific varieties of cactus, which are being selected for growing into a bonsai combo. These special varieties are carefully picked as not to reach more than 10 inches in height as to transmute the message of Bonsai art. Probably one of the greatest advantages of household bonsai cactus plants is that they require little to (often) none care at all in order to keep alive. Plus, they make a wonderful gift for your beloved ones, which can last for years to come minus the fuss when it comes to nurturing. For all the true bonsai aficionados by heart, who wish to find a truly mesmerizing species to cultivate, the Cape Honeysuckle tree might be just what you have been dreaming of! With a rare beauty, capable to lighten up even the darkest days, when everything seems to go off track, the Cape Honeysuckle Bonsai tree blossoms in stunning, vibrantly-hued colors. What’s more, it is not only the blossoms that vivid your imagination with their dazzling coloration but the foliage just as well. You only need to make sure this unique type of shrub gets showered with plenty of sunlight, and get prepared to watch it spread like wildfire! 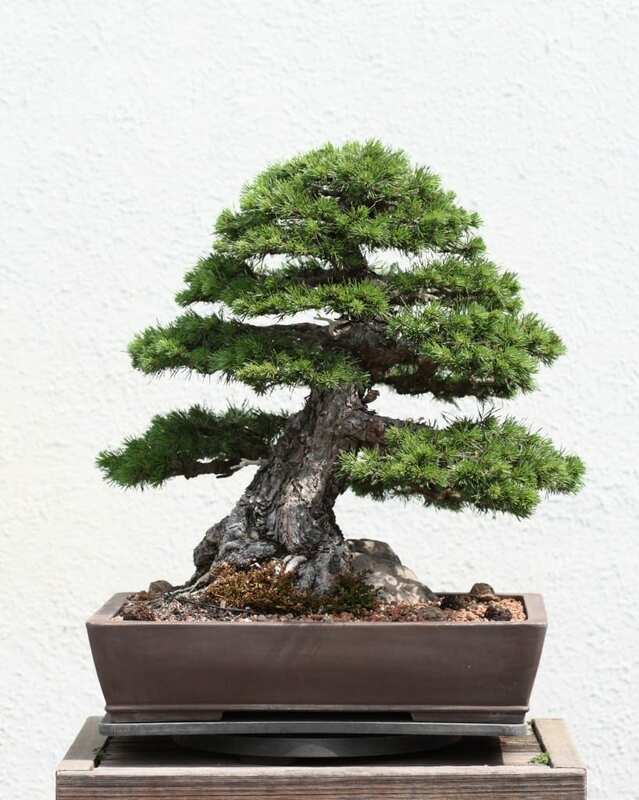 Members of the Cedar family are capable to be turned into true Bonsai masterpieces. Their striking beauty lies in the rough, cracked bark, which is often pointed out as the calling card of these plants species. But on the other hand, the short needles, gathering in clusters that grow sparsely along the branches give the Cedar Bonsai trees a canopy like no other. However, the enchanting beauty of Cedar trees is both immense and at the same time – rare. Yes, finding a Cedar bonsai tree tends to be a very challenging task. That’s most probably due to the fact that Cedar trees require in-depth care and expertise of their cultivators, and hence, the low demand for that particular types of trees. 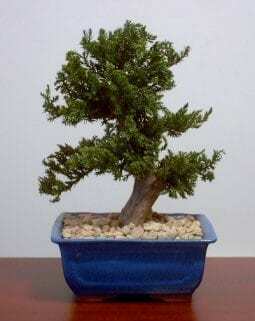 The low demand results in difficulties when trying to find a Cedar bonsai tree at most shops. 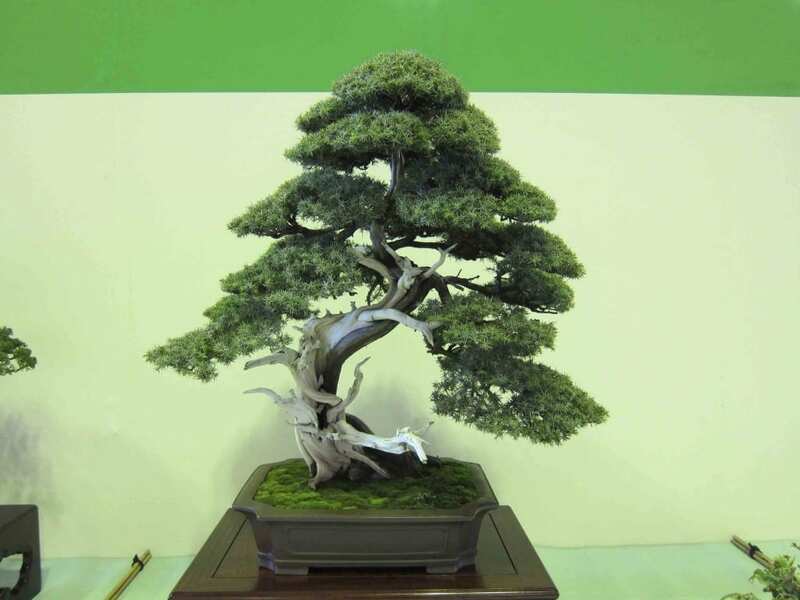 But if you have the luck to lay your hands on one of these astonishing creatures, you will be up for an unforgettable journey of easy growing, combined with challenging yet enjoyable and extremely rewarding styling and shaping of your Cedar bonsai. At the very mention of Cherry Blossom bonsai, many people will inevitably visualize the image of an elegant miniature cherry tree in bloom. However, Cherry Blossom trees are actually part of the “prunus” species family. Prunus species include other fruit trees, such as apricots, peaches, almonds, and plums, to name a few. Amazingly, there are over 430 varieties of the prunus family. It is none other than the prunusserrulata, which is also known as Cherry Blossom. And even more, you can find Cherry Blossoms being referred to with other names, including Japanese Cherry, Hill Cherry, and Oriental Cherry. When it comes to the origins of Cherry blossoms, these species are native to the Asian world, and are originally found in Japan, China, and Korea. You might be surprised to find out that a Cherry Bonsai tree comes from something as simple as a cherry seed! In fact, you can try growing your own Cherry Bonsai from just about any ordinary cherry seed left behind after indulging in the juicy fruit. However, specialized cherry seeds are also available to order online since you might not be that lucky with trying to grow your Cherry Bonsais from any average seed. Anyway, it is essential to remember that both options exists in terms of cherry seeds for growing Bonsai. After all, Bonsai is a practice and there is no additional genetic modification made on the seeds of the plants (or the plant itself) in order to turn them into miniature trees. If you are considering to grow your very own Cherry bonsai tree, a one gallon pot will work great. 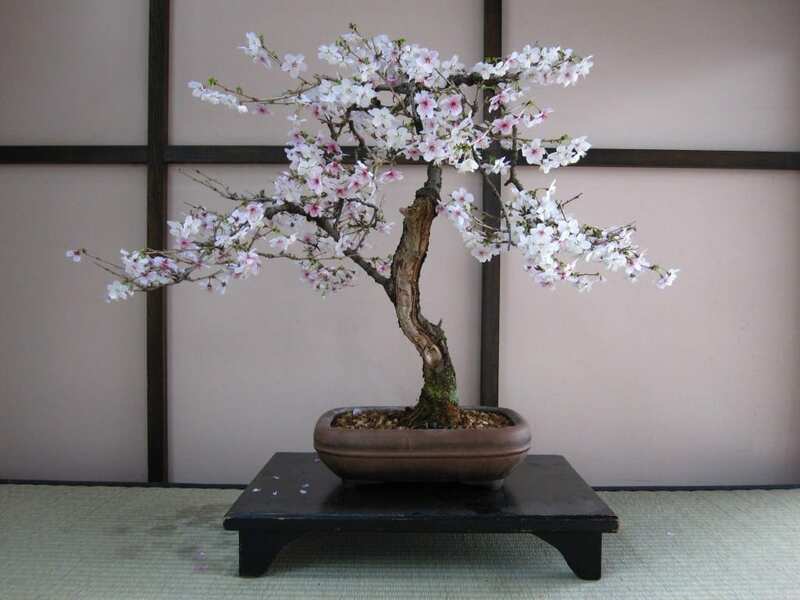 Many newbie cultivators fall into the delusion that placing the tiny cherry into a tiny pot will make the practice of Bonsai easier and better but this is not exactly the case with cherry trees. That’s partially because cherries are slightly difficult to grow, and partially due to the lack of experience all bonsai creators have at the very beginning. Also, choosing a suitable bonsai soil is a must for the well-being of cherry bonsais. Chinese Elm Bonsai trees are among the most attractive varieties. Thanks to the beautiful contrast between the twisting trunk and the multiple tiny leaves, along with strong branches and glorious twigs, the structure of this particular type of Bonsai is a pleasure to the eyes. In fact, the magnificent contrast between the sturdy, thick tree trunk of Chinese Elms, combined with the extremely delicate branches, is what adds to the exotic hint of these types of bonsais. Scientifically known as UlmusParfvifolia, Chinese Elm trees are native to Korea, Japan, and China. 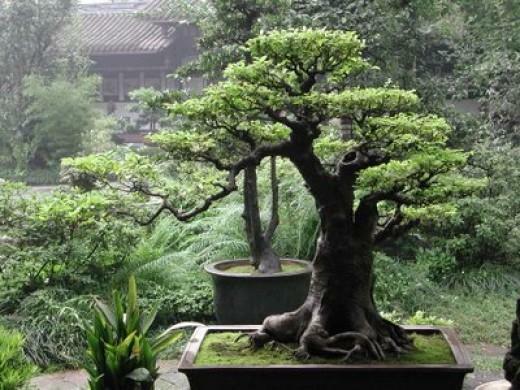 It is none other but Chinese Elms which beginner bonsai enthusiast adore for their friendly, mild temper. For a start, it is very easy to look after Elms and moreover, they are even more stunning to look at and admire their intricate twists and delicacy. Chinese Elm trees tend to grow much better in warmer climates, though. These types of tree will not tolerate cold weather. However, when nurtured properly, you can keep enjoying their marvelous shade of evergreen, which remains intact all-year-round. Keeping in mind the Chinese Elm Trees dislike for cold temperatures, it is best to keep your Chinese Elm bonsai tree indoors in order to thrive. 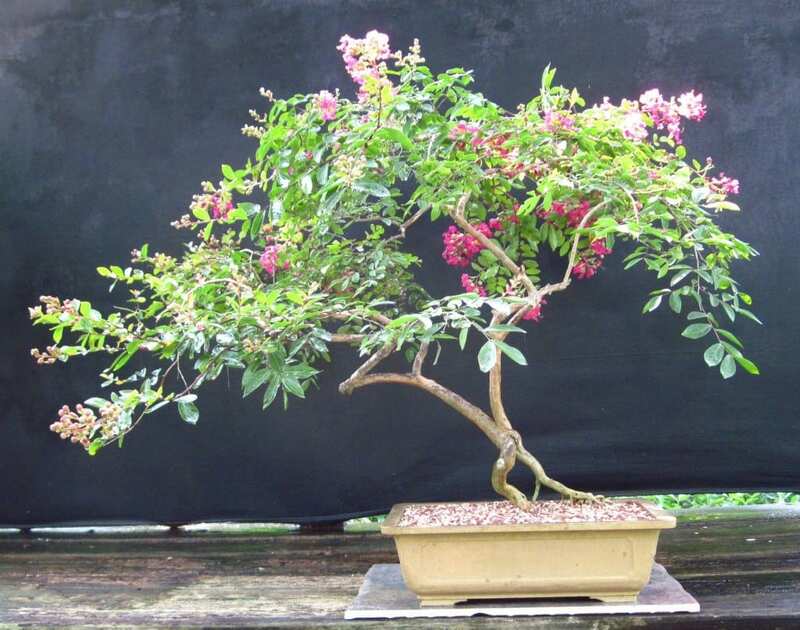 Crepe Myrtle Bonsai Trees possess some amazingly interesting traits, which make them an excellent choice to add to the value of each Bonsai collector. For a start, you can admire the crepe-like flowers in bloom, which are also the reason for naming this particular type of tree specimen. But what’s more, the bark of Crepe Myrtle trees offers another dimension of pleasure to the senses. From season to season, the bark sheds and thus, ranges in varying colors. Crepe Myrtle is native to both Asia and Australia, and its leaves are deciduous, meaning you can expect them to fall off as the winter approaches. Your Crepe Myrtle Bonsai tree will flourish when provided with plenty of sunlight, which will help to nurture the spectacular flowers to bloom. Dogwood trees are perfectly well-suited to practice the art of Bonsai. 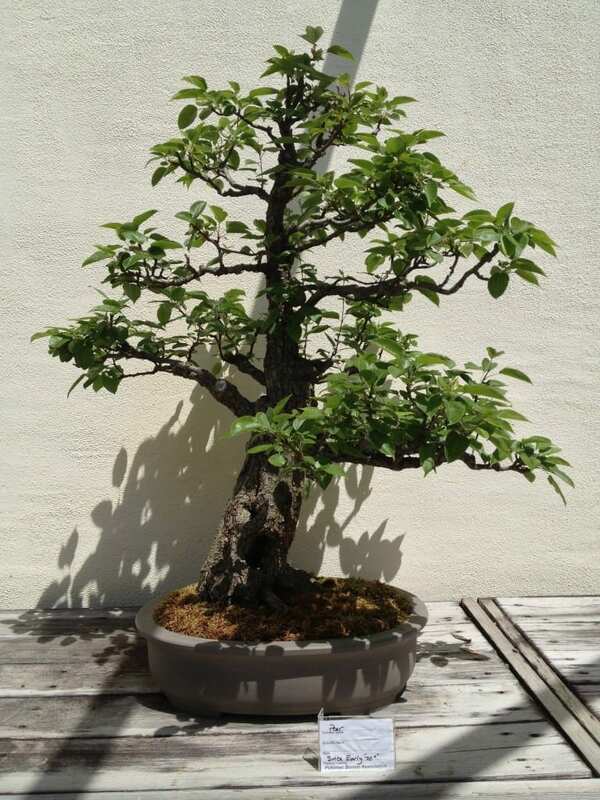 These charming fellows take both training and pruning very well, and thus, even newbie bonsai gardeners can achieve amazing results when taking care of a Dogwood Bonsai tree. In their natural environment, dogwoods will grow at a modest rate. You can expect to see deep green vegetation, which goes through shades of purple and red in the fall. As soon as the spring arrives, your dogwood bonsais will start sprouting blossoms of enchanting flowers, which emit a sweet perfume scent before they gradually enter the yearly spring greenery phase. Contrary to many other bonsais, dogwoods are aficionados of shady locations and you don’t have to look for ways to supply them with plenty of daily sunlight. With the very mention of ficus bonsai trees, it is crucial to understand that there are actually about 850 Ficus varieties! Some of the most popular ones include FicusBenjamina, FicusMacrophylla, FicusSalicifolia, and FicusRetusaMicrocarpa, among others. A huge percent of ficus varieties take pruning with elegance and they respond very friendly even to restrictions in bonsai growth. However, before starting to cultivate a Ficus tree, keep in mind that these plants are strictly suited for indoor growing. They also love plenty of sunlight, so choosing a well-located sunny window or other appropriate location is a must. But apart from these major guidelines, your Ficus Bonsais will be very forgiving to all your possible mistakes as a gardener. And that is exactly why even beginners can do fair well with cultivating a ficus bonsai tree. Fukien Tea tree can grow into a strikingly graceful bonsai, which will bring delight to anyone, who is lucky to contemplate it. However, Fukien Tea is also one of the most challenging tree varieties which can be introduced to Bonsai cultivation. Thus, if this is your very first time with practicing Bonsai or you have very little experience with this ancient discipline, it is best to avoid opting for a Fukien tea tree. That’s because both cultivation and maintenance will require specific skills, which can only be attained through years of practice. Nevertheless, pruning is also difficult if you lack the proper knowledge. 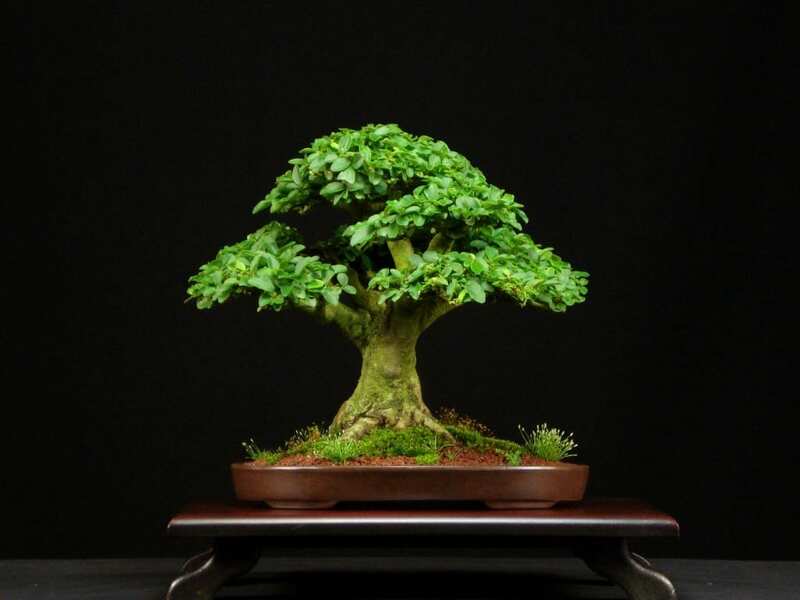 On another note, those who are more seasoned with Bonsais will love to experiment with the various shapes and techniques which Fukien tea trees allow to be applied. Thus, every effort spent of sculpting your Fukien tea bonsai tree will definitely repay you in time and make you feel proud of your creation. Ginkgo biloba is a world-famous plant for its highly valued medicinal properties and the one-of-a-kind shape of the leaves, which makes it almost impossible to mistake it with any other tree variety. What’s more, Ginkgo biloba is the only tree specimen, which has no currently known close relatives. And nonetheless, it is also one of the most ancient plant specimens on Earth. But keeping in mind the unique ability of Ginkgo trees to grow in all kinds of utmost harsh terrains, it is no wonder how these species managed to evolve and survive for thousands of years. Interestingly, a Gingko tree is entirely capable to sprout along rocky surfaces, such as a cliff bank, for example. Long before being introduced to the art of Bonsai, Gingko trees were native to Asia. Ginkgo bonsai trees will reward their cultivators with beautifully yellowing leaves, which are expected to fall off with the winter season approaching. 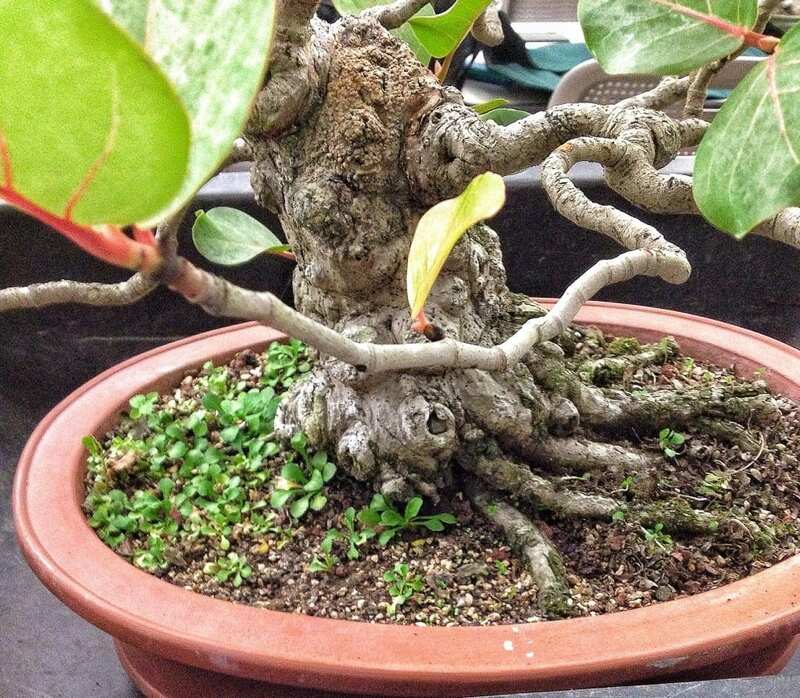 The unusual appearance of Ginseng Ficus trees makes these species invaluable to Bonsai cultivators. 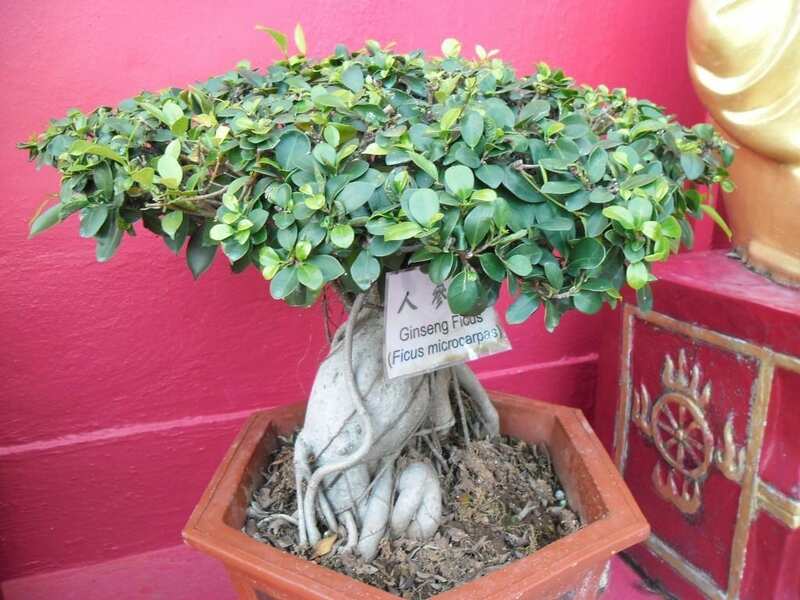 On the one hand, a Ginseng Ficus Bonsai tree is very hardy, with a high resistance to all your possible mistakes as a gardener, which makes it incredibly well-suited even for beginners. 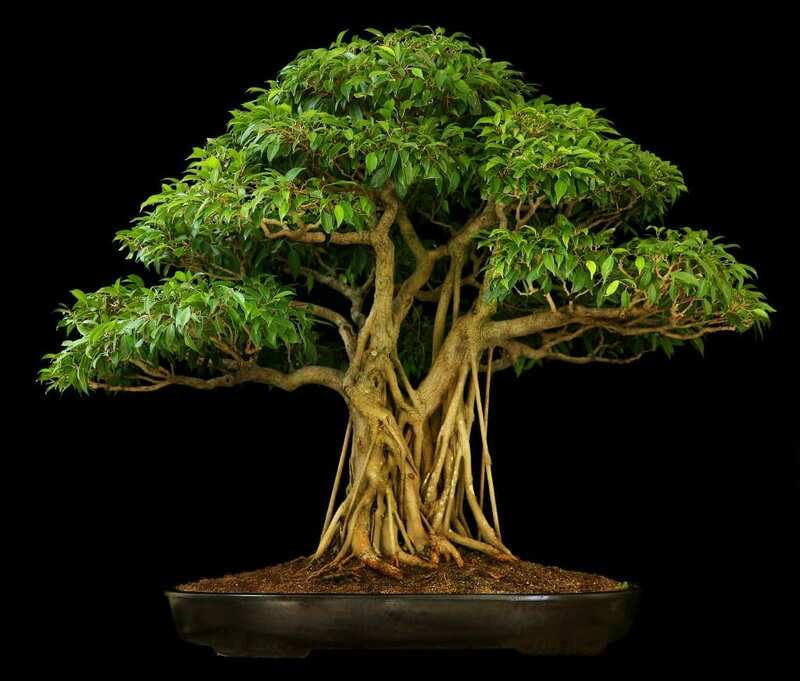 But on the other hand, it is not solely the newbie Bonsai cultivators, who enjoy the looks of the Ginseng Ficus trees massive, thick trunks, along with the crown of dense foliage on top. 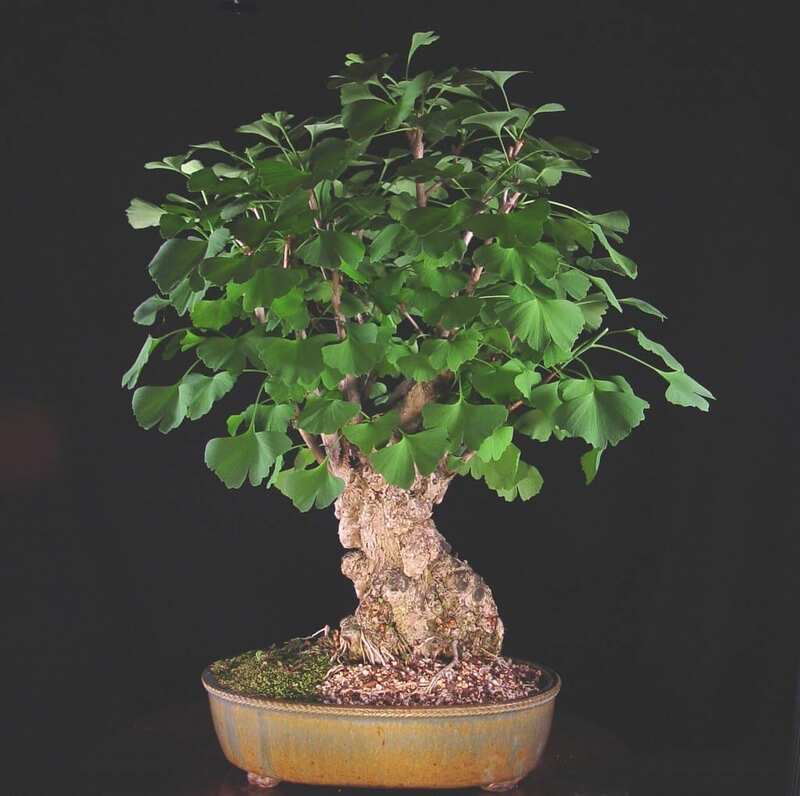 Despite the multiple Ginseng Ficus varieties, though, only about 6 of these are usually picked as more appropriate than the rest for practicing the art of Bonsai. Native to Malaysia and Taiwan, most Ginseng Ficus trees grow several large roots, which do not tend to remain hidden beneath the soil. 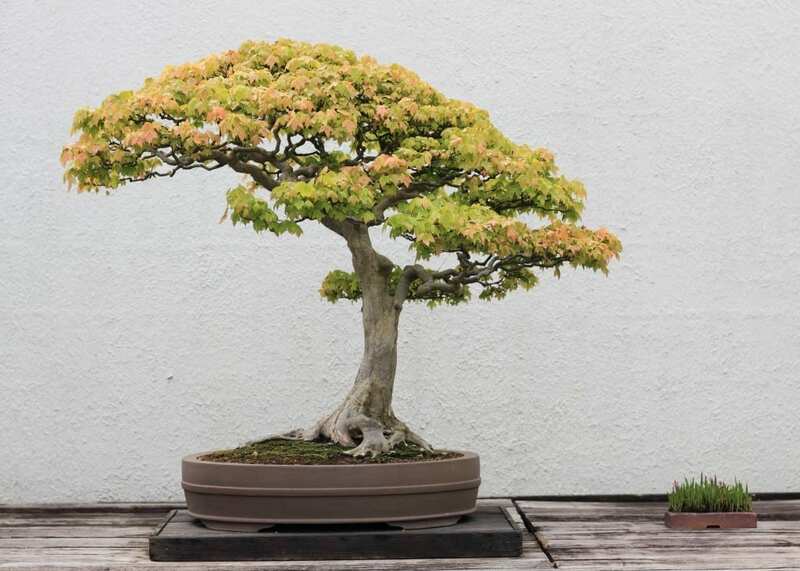 Instead, they resemble the looks of trunks with many interesting twists and curves to delight both the Bonsai creator and the mere observers of those amazing miniature trees. In their natural environment, Grapes are nothing less than climbing vines. When it comes to cultivating those intriguing and well-known species as bonsais, though, the plants become bushy trees. 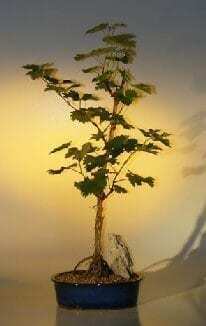 Moreover, as their growth patterns are quite vigorous, the size of grapevine bonsai trees is only limited to the taste and maintenance, provided by the Bonsai gardener. While this is a great feature since it opens much room to the imagination of the cultivator, it also hides some possible disadvantages. In order to grow successfully, a grapevine bonsai tree needs utmost care, along with high maintenance and carefully applied techniques if you want to see your miniature masterpieces to thrive. But in the case you have the time to dedicate on daily nurturing, spent on looking after your bonsai grapevine, you will be rewarded with the exquisite appearance of those extremely fast growing specimens. 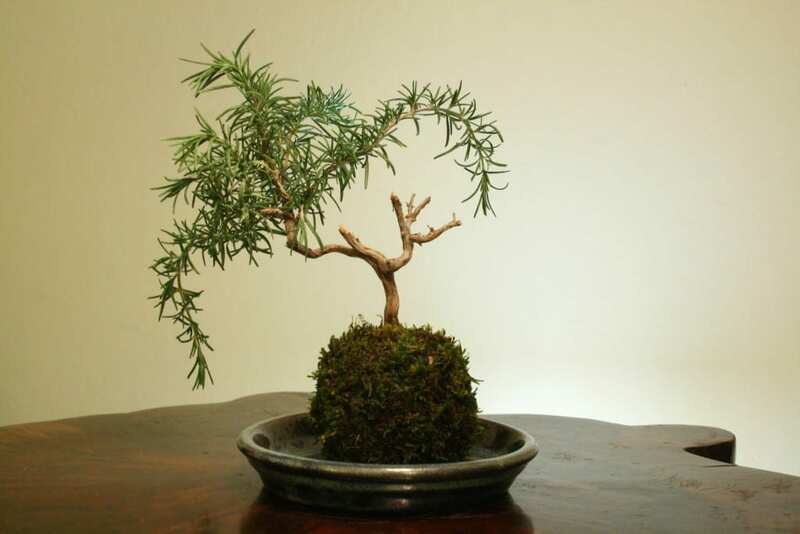 It is no wonder why bonsai enthusiasts simply adore the Green mound juniper trees. The visual appeal of Green Mound Juniper bonsais is dazzling, with the beautiful hunter green leaves and the multiple shapes and designs which can be applied to increase the aesthetic value of the trunk. But above all, and especially when compared to multiple other bonsai varieties, Green Mound Juniper Bonsai trees are much easier to grow and cultivate. That’s also one of the leading reasons why novice bonsai gardeners often prefer to pick green mound juniper trees as part of their bonsai collection. 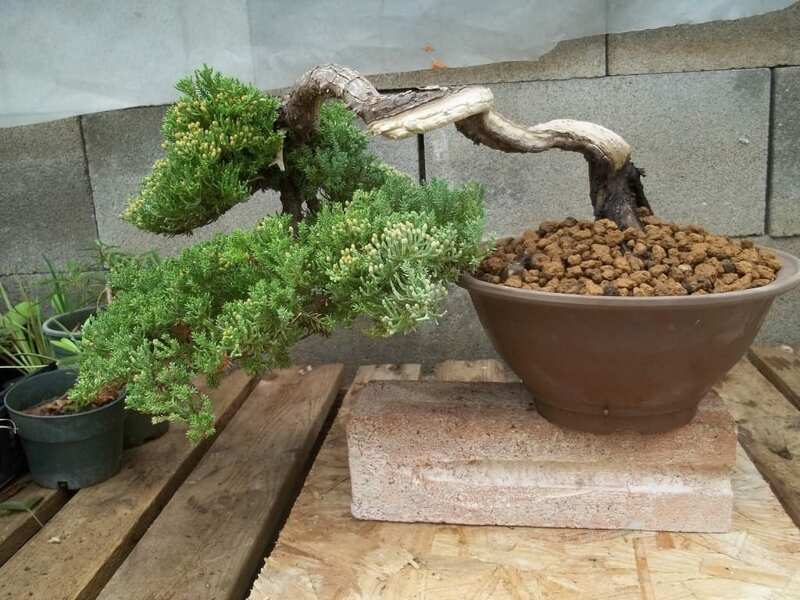 You can expect to cultivate a Green Mound Juniper Bonsai specimen with huge success, provided you comply with the tight grow pattern of a classical bonsai, which is typical for these species. Whether you prefer to nurture your green mound juniper bonsai outdoors or indoors, don’t expect to face any issues since these plants are resistant to a very wide range of temperatures. 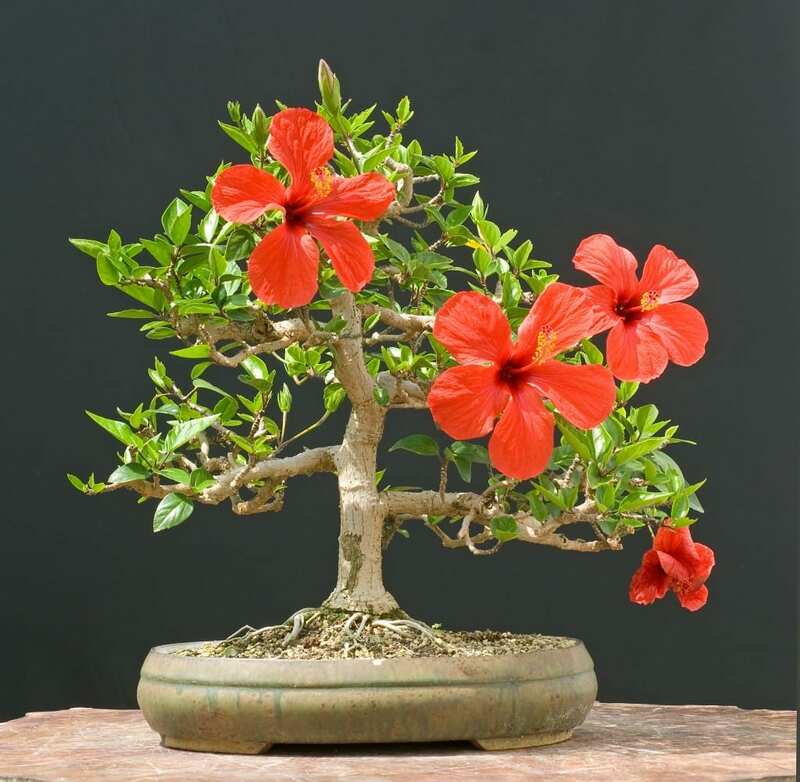 A Hibiscus Bonsai Tree will grab the hearts of just about any aficionado of natural beauty. And although it is almost impossible to compare various bonsais in terms of their incredible appearance, for sure, there is no other flowering species like the Hibiscus, growing strikingly vibrant flowers. With so many colors to choose from, varying from Red, Purple, Yellow, and White, among others, a Hibiscus bonsai tree will truly captivate your entire being with its unique beauty. Once in bloom, you can expect to marvel at the fantastic flowers during the whole growing season. However, keep in mind that this exotic and rare beauty also comes with some challenges for bonsai cultivators. The large size of both the leaves and flowers can be quite an intimidating task for enthusiasts, who lack experience with the art of Bonsai. But apart from the possible obstacles, the payoff is worth every effort as you get to contemplate the gorgeous, colorful Hibiscus bonsais. 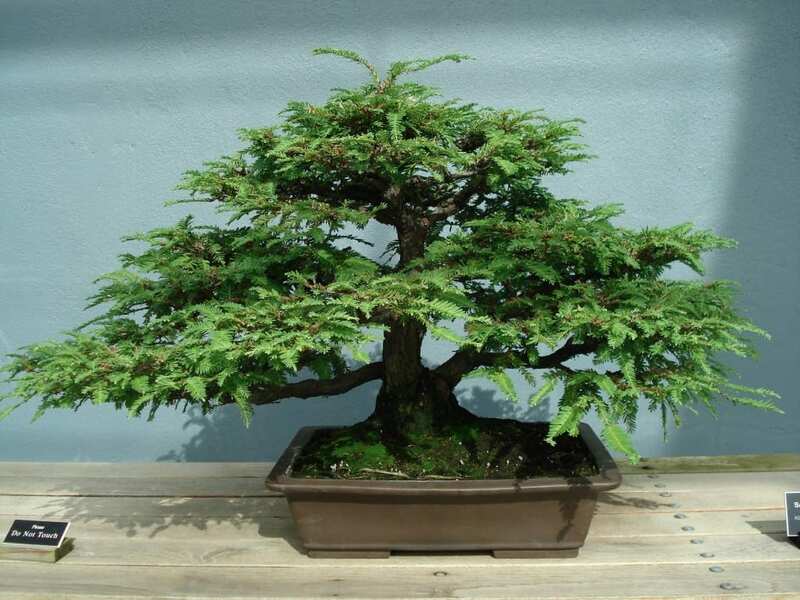 Did you know that the first Himalayan Cedar Bonsai Tree was cultivated in Australia? And this is far not the most interesting trait about Himalayan Cedars! These tree species possess a truly wonderful scent, which is considered as highly therapeutic and capable of distressing both the mind and the body. It is thanks to specific oils, produced in the bark, that a Himalayan Cedar tree can perfume the surrounding environment with its unique aroma. What’s more, the green needles, once sprouted, subsequently show rich golden undertones, which are a true delight for the bonsai cultivators. Typically, the shape of Himalayan Cedar bonsais is a conicle-like. Mind that these trees can grow up to 15 inches per year if not trimmed on a regular basis. But with the right care and proper pruning, the Himalayan Cedar bonsai will grow at about four to six inches per year. Being evergreen specimens, you can admire the beauty and anti-inflammatory aroma of Himalayan Cedar bonsais throughout the entire year. A Jade bonsai tree can be a wonderful choice for all of the novice horticulturalists who wish to practice the art of Bonsai since it has a very low maintenance profile, compared to many other bonsais. That’s due to the origins of the jade tree, which fall into the Succulents family and are native to the Capetown area of South Africa. Thus, jade tree specimens are highly resistant to droughts. In fact, a jade tree can store huge quantities of water in its leaves for quite long periods of time. 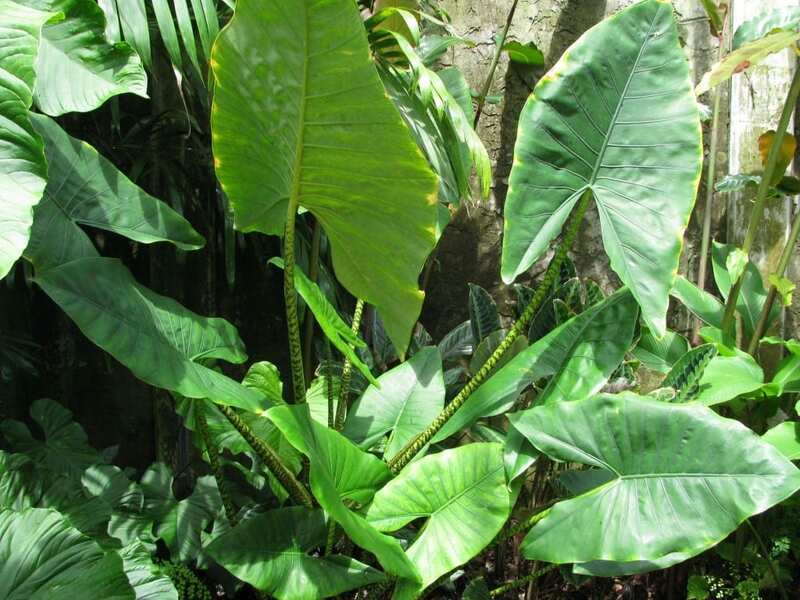 The leaves themselves are glossy, deep green, thick, and have an oval-shaped structure. When it comes to the stems of jade trees, you can expect to see them grow thick and elegant brown. As part of the Succulents family, jade trees typically inhabit desert regions with dry, sandy soils and long period of drought, as well. As a result of these sturdy genetics, your jade bonsai tree will flourish only in suitable soil, which needs to be coarse and sandy, mimicking the attributes of the soil in its natural environment. 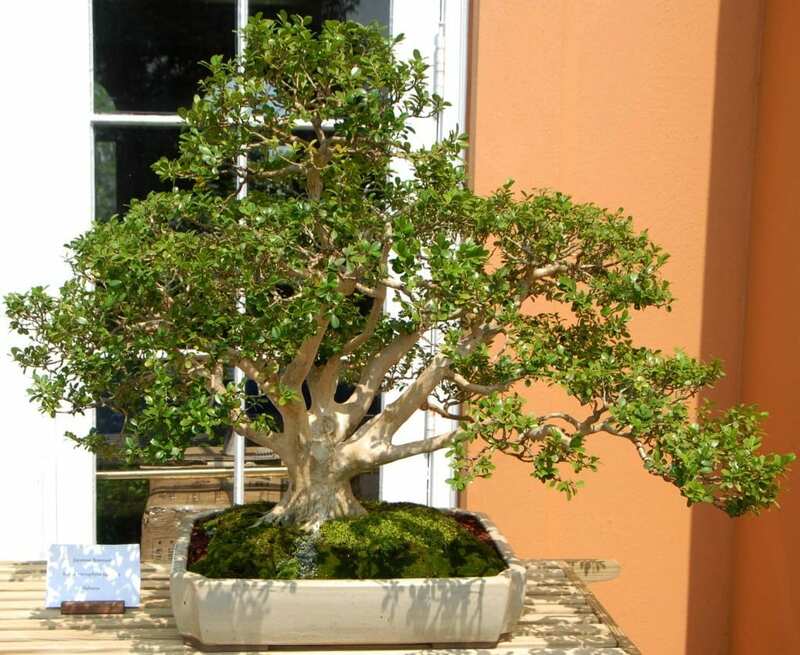 But then again, it is partially because of these specific soil demands and low watering and fertilization requirements of jade bonsais, which makes them suitable even for beginners. The Japanese Black pine is one of the most popular and highly valued species, used in multiple Japanese architecture projects for many years. Along with 110 pine varieties, the Japanese Black Pine is also part of the Pinus genus family. Scientifically, the term for Japanese Black Pine is Pinusthunbergii. 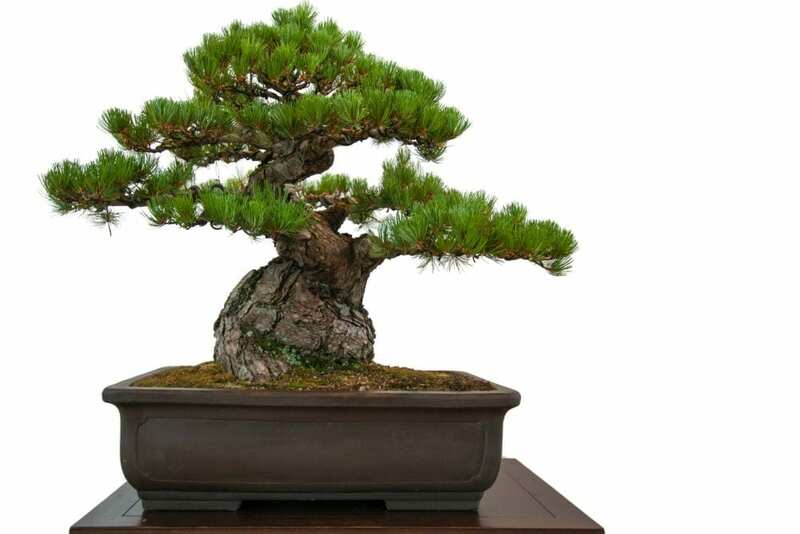 One of the most beautiful characteristics of Japanese Black Pine Bonsai trees is the extremely delicate, needle-like shape of the leaves, which always grow together is pairs. Most of the hobby horticulturalists (but not only!) will be surprised to learn that the Japanese Black pine produces tiny reddish flowers in springtime. Subsequently, those small flowers will give way to miniature brown cones. If you are intending to cultivate a Japanese Black pine tree by practicing the art of Bonsai, it is good to know that these species are also pretty hardy. They can resist both very strong winds and the ocean spray in their natural habitat, so the same features are translated into the miniature versions of Japanese black pines. Many bonsai aficionados will automatically picture the looks of a Japanese Maple tree as soon as they hear the very mention of Bonsai. The extreme popularity of Japanese Maple bonsai trees is due to multiple reasons but one of them is the striking beauty of those tree specimens during the fall. Leaves of red, yellow, and orange hues literally lighten up the room with color and vitality. 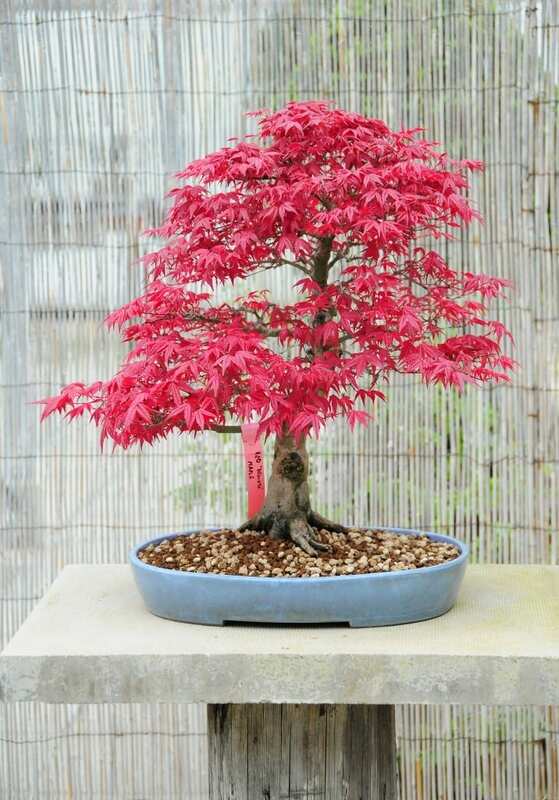 Furthermore, Japanese Maple bonsais are cherished for their beginner-friendly character, and thus, they are often among the top recommended types to grow among the novice bonsai enthusiasts. Anyway, it would be very inaccurate and not concise at all to limit the joy of looking after a Japanese Maple bonsai only to the newbie gardeners. These tiny, dazzling colored in the autumn trees, are capable to bring life and elegance into every space, where they are placed, including your office desk. Ultimately, Japanese Maples do not require too much efforts spent on either maintenance or care, which only increases their appeal among bonsai connoisseurs. For those who are looking for ways to add a little bit of extra color to a room or to surprise a beloved friend, who is an aficionado of natural beauty, there is probably no better choice than the Japanese Maple tree. Juniper bonsais are probably one of the most popular varieties you can find available on the market, and that’s for some good reasons. As a matter of fact, there are more than 50 different Juniper trees species, which can be found to thrive all around the globe. However, despite the tremendous popularity of the various Juniper trees you can lay your hands on, the Chinese Juniper tree, as well as the Needle Juniper bonsai tree are among the most well-known and widely-spread. 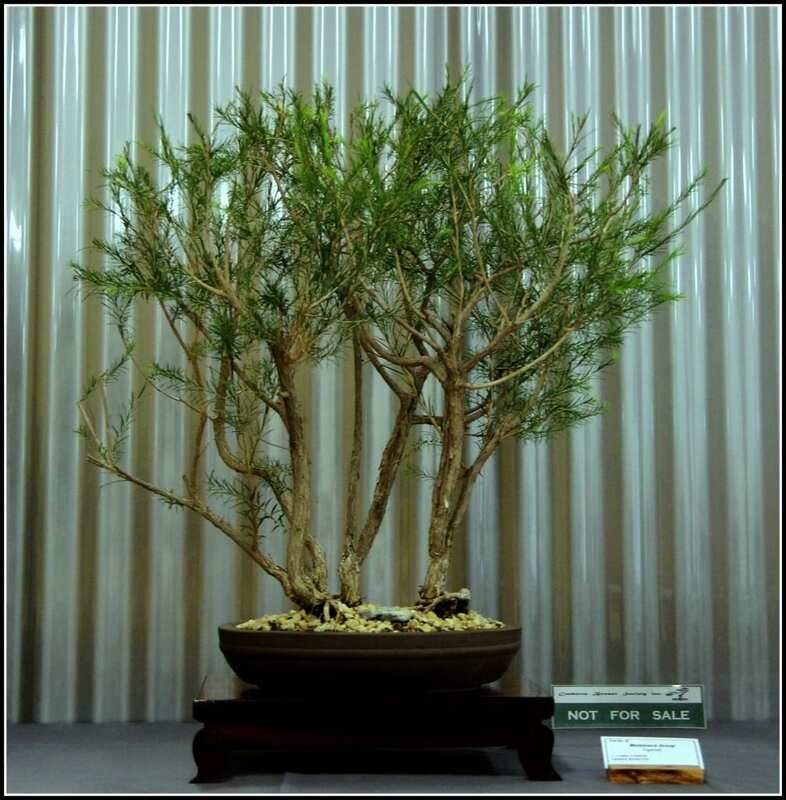 It is not only because of the heart-melting beauty of Chinese Juniper bonsais and Needle Juniper bonsais why cultivators from so many different regions of the world choose to grow these varieties. Both of them are amazingly easy to take care of, which makes them a suitable choice even for individuals, who are just starting to delve into exploring the ancient practice of Bonsai. Moreover, those Juniper bonsai tree varieties will thrive indoors and outdoors with the same success. Ultimately, given the right amount of water and light, your Juniper bonsai tree will flourish vigorously in just about any condition. Junipers can be also described as the happy rebel children of the Bonsai family. Their mild temper and low demands give Junipers a better chance of evolving and thriving when being slightly neglected, instead of being overly-pampered. Thus, if you are already fighting with a busy schedule, a Juniper bonsai tree might be just what you are looking for. Liquidambar bonsai trees make a fantastic choice for people, who enjoy colorful beauty and find pleasure in gazing at the changing colors of deciduous varieties. Astonishingly enough, even when all their leaves fall off with the winter just around the corner, Liquidambar trees are still strikingly pretty to contemplate, due to their capturing trunk and branches structure. In the autumn, you can expect to see splendid shades of bright orange, burgundy purple, and dazzling red, along with multiple eye-catching undertones that will vivid your imagination. You might be surprised to learn that the Asian Liquidambar has not been hybridized to produce any specific leaf colors during the fall, contrary to the American Liquidambar varieties. The American counterparts are designed to show particular leaf colors. However, the shades which Asian Liquidambars will exhibit are no less captivating, and also come with the sweet tingle of the surprise they bring to their cultivators, as there are no exact limit of the colors you can expect. And while Japanese Maples, which are also deciduous trees, providing a colorful show during the autumn season, but needing cold temperatures to thrive and produce their beautiful leaf shades, Junipers will flourish in warmer climates. In the scientific world, the Mimosa tree is referred to as Albiziajulibrissin. When cultivated as bonsais, Mimosa trees promise the gift of granting their elegant and delicate beauty to the gardeners. With one-of-a-kind, pom-pom like fizzy and tender flowers in bloom, Mimosa bonsai trees have become increasingly popular. 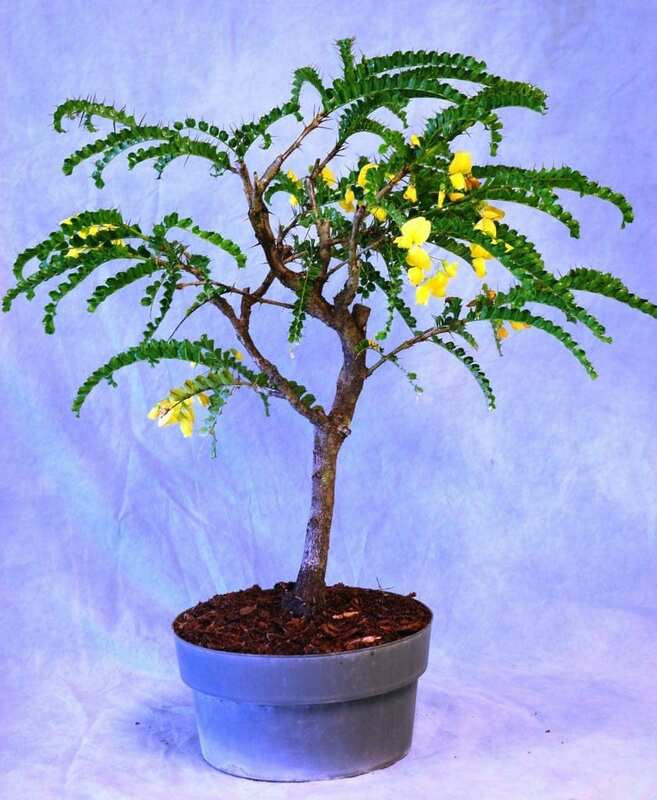 But it is not only the enchanting flowers, which give off the captivating appeal of a Mimosa Bonsai tree. The extremely delicate, fern-like fronds are covered in multiple miniature leaves, which feel light and soft to the touch, dancing in the embrace of even the slightest flow of wind. Another reason why Mimosa tree varieties are great for bonsai cultivation comes with the fact that they grow very quickly. 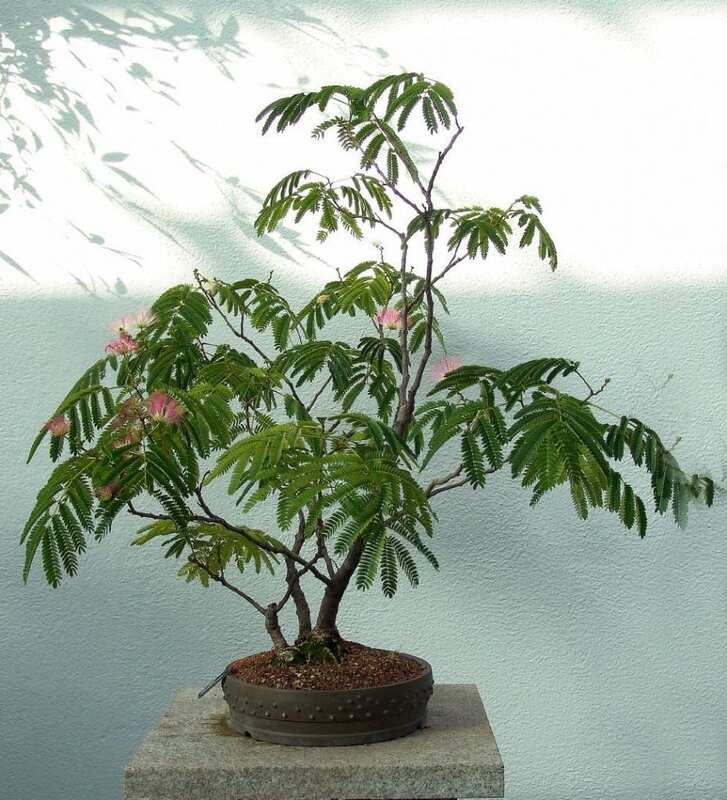 As a result, both sculpting and training Mimosa varieties is much easier, with the trunks and branches thickening much faster than those of many other bonsai trees specimens. When taken proper care of, a Mimosa Bonsai can be literally turned into a living sculpture of art. While we briefly mentioned the Needle Juniper bonsais just above in this list, when commenting on Juniper bonsais as a whole, the Needle Junipers do deserve a closer look. 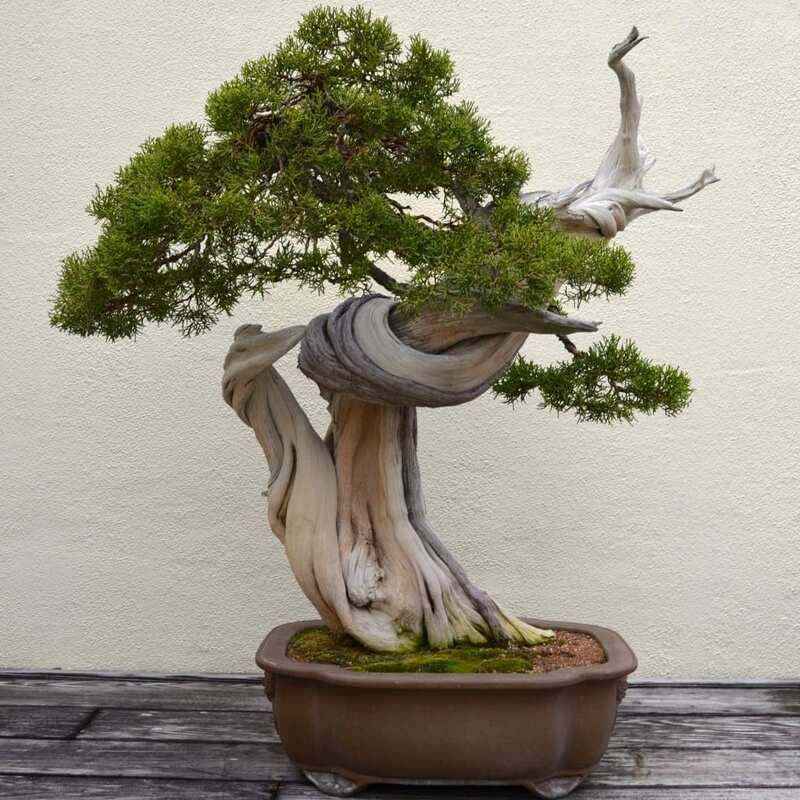 First off, a Needle Juniper tree can reward both newbie bonsai enthusiasts, along with those who have a much longer-standing passion for bonsai cultivation. That’s because Needle Junipers take training and pruning with ease and thus, they are considered very easy to grow. But despite of their beginner-friendly growth patterns and demands, Needle Junipers can be shaped into resembling very old trees, which adds tremendously to their appeal. In fact, the biggest trouble you will have if you decide to opt for a Needle Juniper bonsai tree will be none other but picking your favorite type, among the multiple species available! 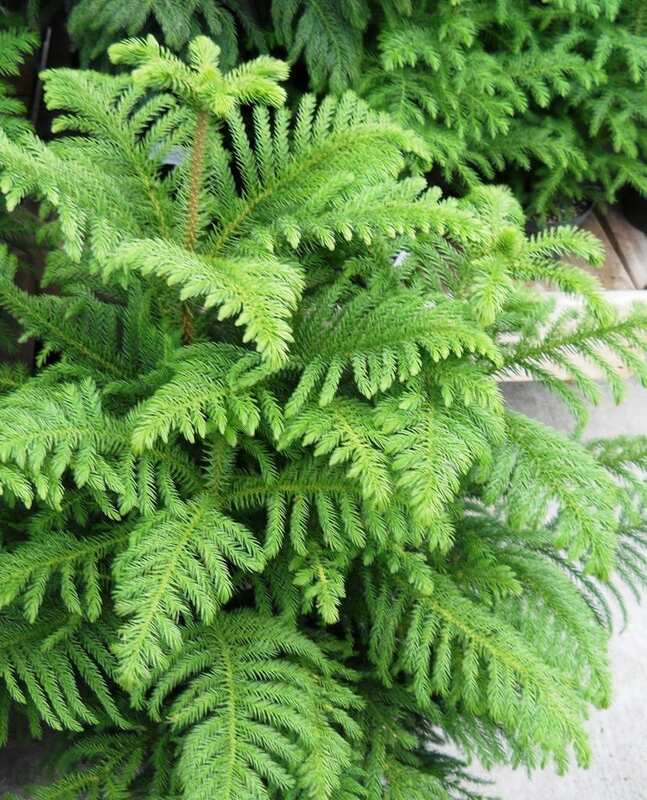 If you have ever visited nurseries and grocery stores somewhere around Christmas, you have most probably already stumbled across the Norfolk Island Pine tree. Due to the resemblance in the appearance of traditional Christmas trees and the Norfolk Island Pines, many people choose the latter for their Christmas decorations. Interestingly, it is often the case that people go as far as to place the typical X-mas ornaments and garlands on their Norfolk Island Pine Tree to celebrate the holidays. However, when the looks of those tiny trees is compared to the trees, growing freely in their natural habitat, there are some huge differences. Did you know that Norfolk Island is a tiny 13-feet square piece of land, located between Australia and New Zealand? But what’s even more amazing is that Norfolk Island Pines, when in their natural environment, can reach about 200 feet height. If you are enchanted by the appeal of Norfolk Island Pines, then keep in mind that these trees can be turned into a very nice bonsai, which will last for several years. On another note, usual bonsai techniques need to be altered to match the cultivation of your Norfolk Island Pine Tree, though. Oaks family, keep in mind that there are about 600 hundred species, native to the regions of South America alone! However, not all of these tree specimens are well-suited for practicing the art of Bonsai. But then again, those that are appropriate to undergo Bonsai cultivation, can be described as very gratifying to their creators. Nevertheless, the lovely appearance of miniature oaks fills the heart and mind with joy and contentedness. If you are considering picking an Oak Bonsai tree for your collection, you must be careful when it comes to root pruning. The roots of Oaks need to undergo a particular type of pruning, as opposed to the typical methods, applied on most tree varieties. When compared to Maples and Conifers, for example, Oak bonsais tend to be more challenging to nurture since they simply demand greater care and attention. 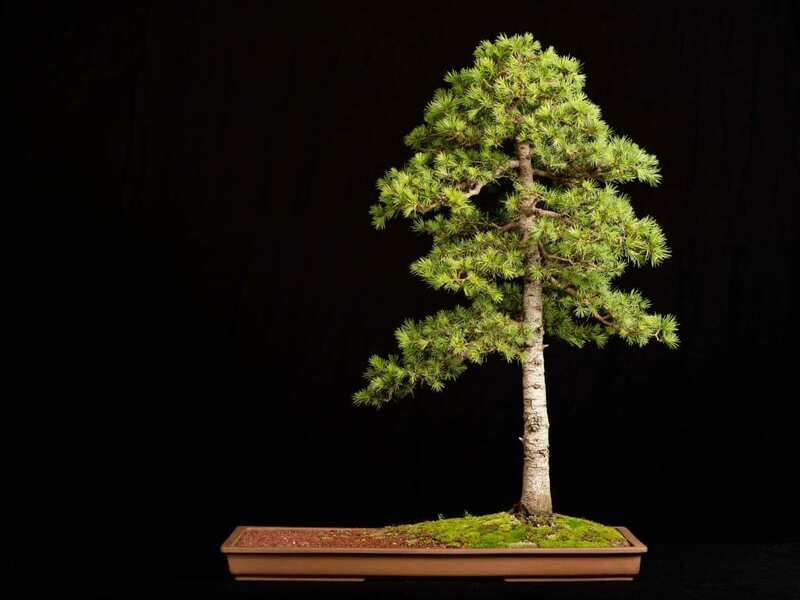 Many people visualize the image of a Pine tree whenever Bonsai is mentioned. And indeed, Pines are among the most popular specimens in Bonsai cultivation. Their intricate form and aged appearance are simply mind-altering and very rewarding to those growers, who are truly dedicated to the practice of Bonsai. However, Pines are also not the easiest type of trees one can nurture into a Bonsai creation. Thus, beginner-growers are advised to consider another tree specimen because the lack of experience with Bonsai can become a huge obstacle when taking care of a Pine bonsai specimen. But on another note, if you are determined to enjoy the unlimited beauty of a Pine miniature tree, you can achieve the classical bonsai aesthetics and admire the evergreen tiny needles all-year-round. Pomegranate trees are very intriguing specimens to cultivate through the practice of Bonsai. Although the leaves of your Pomegranate Bonsai tree will not produce bright and multiple colors during the autumn, the trunk compensates with its thickness and the attractive bark. However, you must also keep in mind that being a deciduous tree, the foliage of Pomegranate trees inevitably falls off each winter. But the rewards upon springtime will be worth the waiting. Once the winter season is over, you can expect to see striking flowers on your Pomegranate bonsai. As the flowers mature, tiny fruits will appear, increasing the exotic and rare beauty of this tree variety. Even when all the leaves are absent, one can’t stop to admire the twisted trunk of Pomegranates trees. The curved and intricate shape of the trunk also provides the much-desired gnarled and aged appearance of Pomegranate bonsais, which is utterly treasured and appreciated. The story of how Pomegranate trees reach Japan is no less intriguing than the trees themselves. Japanese have been cultivating Pomegranate bonsai trees for centuries, however, it was thanks to the Silk route that these tree species succeeded in reaching the Far East. Up-to-date, there are many Pomegranate trees specimens, which all come in different colors, shape and size of the flowers and fruits they give way to. Powder Puff species of trees are part of the Calliandra genus families. And although there are multiple varieties to choose from, each and every one will delight your senses with the one-of-a-kind looks of those beloved bonsai creations. 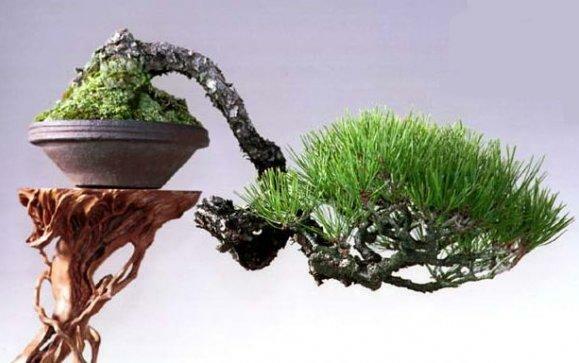 It is in the very name of this type of Bonsai trees, where one can find the secret of their whimsical beauty. The delightful, mesmerizing showy flowers that bloom on Powder Puff bonsais, resemble puffy cotton balls. It is no wonder why Powder Puff bonsai trees make such an excellent addition to each bonsai aficionado collection, as they elegantly add color and charm to any room or space they are placed at. 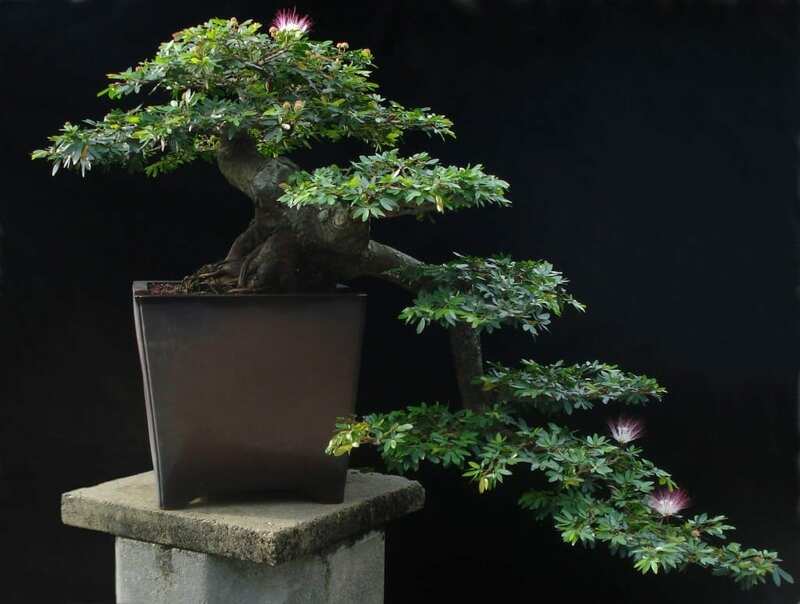 Apart from the unique fuzzy flowers in bloom, Powder Puff trees can be shaped into various Bonsai designs. All designs look stunningly amazing along with the rest of the attributes, peculiar for Powder Puff trees, such as the thick trunk and the gentle, jade green leaves. 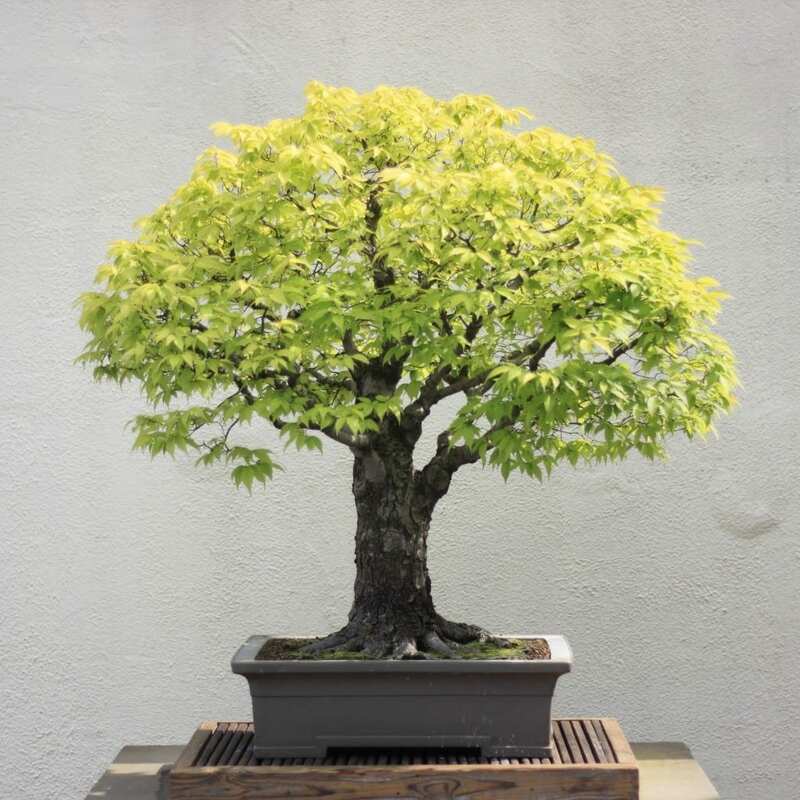 Preserved Bonsai trees make a wonderful choice for all of the Bonsai connoisseurs, who simply lack the time, patience, will or skills to grow their own miniature trees. Indeed, the art of Bonsai requires great patience and proper knowledge, along with huge imagination and willingness to dedicate a particular amount of time into studying, nurturing, and shaping your bonsais. With the busy pace of life that most of us face nowadays, despite the big desire for delving into bonsai cultivation, sometimes, it can be impossible to turn your daily routines upside down and commit to the art of Bonsai fully. On another note, it is also the case that not all people are born to be perfect gardeners, just like not all of us are born to be singers, or actresses, or pilots. But for those who still wish to add of the rare beauty of Bonsai into their homes or offices, a Preserved Bonsai tree can be an excellent option. All you have to do is simply dust it every once in a while to preserve its fresh looks. With a Preserved Bonsai tree, though, you will not be able to play with the shape and structure of your miniature plants. But then again, it is all about the low-maintenance. The purpose of having a Preserved Bonsai tree is to add a bit of the one-of-a-king Bonsai elegance without the hard work, related to care, training, and pruning your bonsais. Privet Bonsai Trees are part of the genus Ligustrum, which shelters over 50 different varieties of plants. Most hobby gardeners already know Privets for their perfect shrubby shape, which makes them ideal as hedges. However, when introduced to the principles of Bonsai cultivation, Privet trees make amazingly beautiful Bonsai creations. 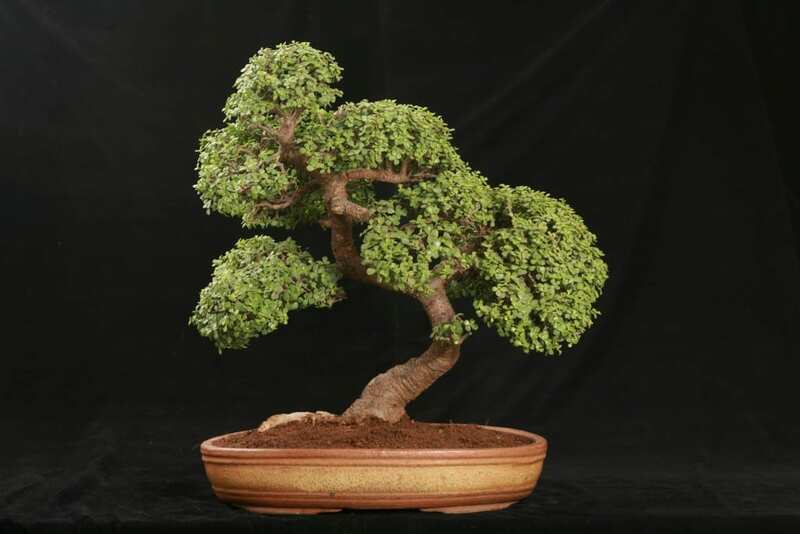 That is mostly thanks to the ability of Privets to undergo both pruning and other Bonsai designing techniques with ease and success. Privets are fast growers, and as such, regular trimming is required. 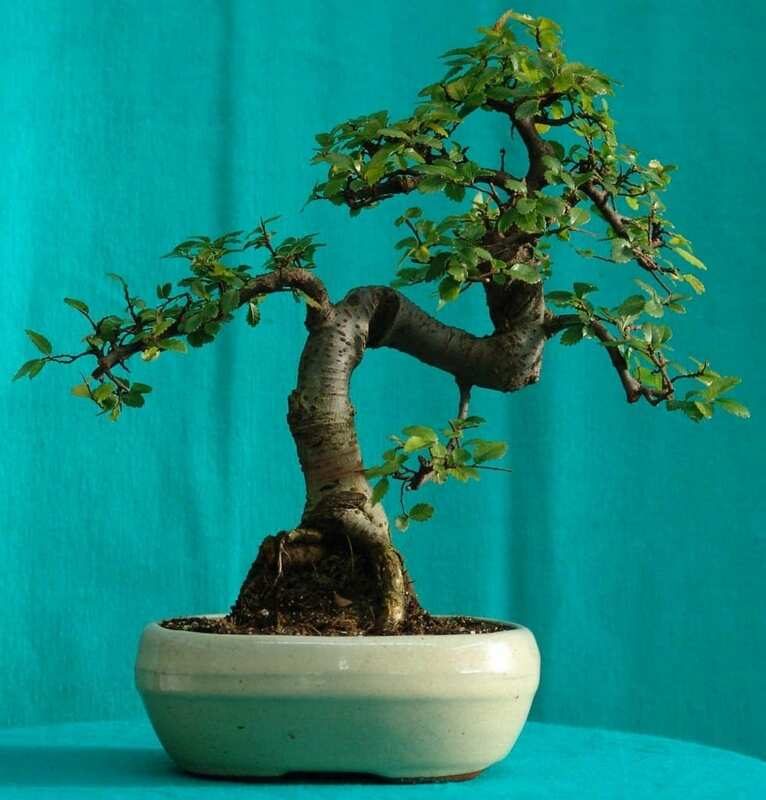 But apart from that and some common guidelines, regarding the choice of soil, repotting, and fertilizing, Privet bonsai trees are very sturdy and are also among the most highly-adaptive species. And so, if you are just at the beginning of your Bonsai cultivation journey, Privets can make an excellent choice. Anyway, experienced Bonsai gardeners will enjoy no less these low-maintenance but finely pretty tree species. Pyracantha plants are actually shrubs, and not trees, which are native to different parts of Asia. But when it comes to Pyracantha specimens, there are approximately seven species, included in the same genus, unlike with Oaks, for example, where the tree varieties of the same family can outreach hundreds in number. Moreover, all of the seven species of the same family are broadleaf and they also possess thorns. In the case a Pyracantha tree is not trimmed, it can reach up to 18 feet in height. But Pyracantha trees are not boring specimens at all. In addition to the evergreen leaves, your Pyracantha bonsai tree will produce tender white flowers in the spring. Subsequently, those flowers will give off tiny red or orange berries as the autumn season kicks in. Pyrancatha trees in their natural size are a favorite choice for adding beauty and style to outdoor landscapes. When introduced to the practice of Bonsai, Pyracantha trees make wonderful indoor plants, as well. Typically, Pyracantha Bonsais are pretty sturdy, and although they require frequent watering, even amateur bonsai gardeners can succeed with ease in nurturing their Pyracantha specimens into miniature masterpieces. The giant Redwood trees, which can grow to amazing sizes when grown in their natural environment, have gained world acknowledgment. 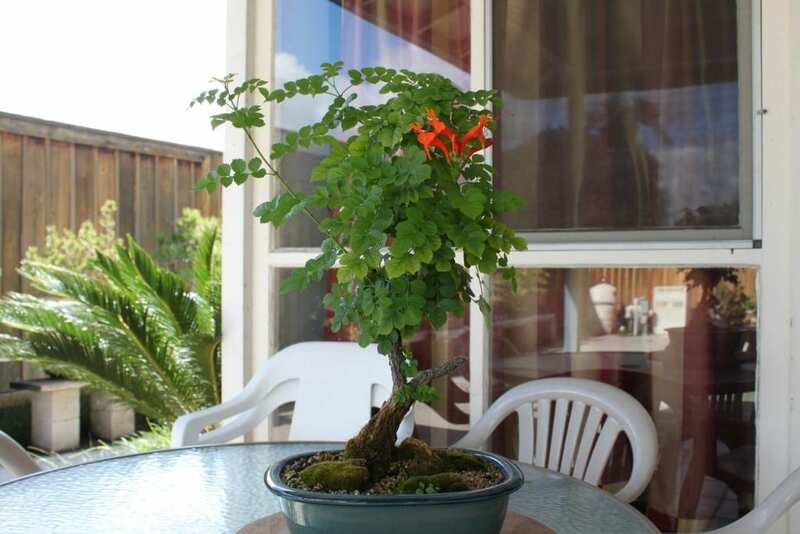 But when it comes to cultivating Redwood trees into bonsais, the rewards are no less satisfying to the gardener. Although the Californian cousins of the Redwood tree species are the ones which are popular for their gigantic size and respectable looks, the most famous example of redwood species remains the Wellington, which is native to the Pacific Rim. Typically, Redwood varieties can be found to thrive all around the globe since the Pacific Rim embraces a huge number of countries. However, the most well-known Redwood tree can be seen in the Redwood National Forest in California. The rare and majestic beauty of Redwoods has become an emblem of strength and authenticity of Mother Nature which one can feel when getting to know that Redwood trees are among the oldest living beings on the entire Planet Earth! Ultimately, Redwood tree species have proven to withstand the test of time. When introduced to the art of Bonsai, Redwood trees show to be very hardy and their evergreen leaves are nothing but joy for the senses. Both beginner bonsai growers and the ones who are more experienced with the ancient practice can enjoy taking care of the relatively low-maintenance Redwood bonsais. For most people, the very mention of Rosemary doesn’t at all trigger any associations with the art of Bonsai. But the truth is, Rosemary plants actually make wonderful bonsais. What’s more, these savory creatures are ideal for all of the bonsai connoisseurs, who wish to avoid the multiple complications, often related to bonsai cultivation, while still being able to admire and nurture a lovely bonsai masterpiece of their own. Apart from seasoning, where Rosemary has a special place, these species show to be very sturdy and are also well-known fast growers. Rosemary bonsai trees get extra bonus point for their usefulness, which exceeds the mere act of contemplating the beauty of the miniature trees. Whenever pruning is applied to Rosemary plants, you can use the freshly-cut parts as seasoning and add the much-desired gourmet note to your dishes. Rosemary is also considered a sacred spice, which is not only highly beneficial for the health but for the spirit, as well. Furthermore, Rosemary plants are believed to carry superpowers and grant their owners luck and prosperity. Don’t get fooled by the otherwise simple cares which most of us associate when it comes to growing something as common as Rosemary, though. There are still some crucial steps you need to follow in order to cultivate your Rosemary bonsai tree with success and ease. The Sea Grape Bonsai Tree belongs to the buckwheat family. To be more specific, Sea grapes are part of the Coccolobauvufera genus. These beautifully shaped trees are types of evergreens. Although, with Sea grapes, the plants specimens are referred to as evergreen flowering trees. That’s, of course, because a Sea Grape tree tends to grow delicate ivory-colored flowers. Despite of the blossoming flowers, though, a Sea Grape Bonsai tree will rarely produce fruits. Anyway, it is also not entirely impossible for you as a bonsai cultivator to enjoy fruits from your Sea Grape miniature tree but that is far more achievable when the plant is grown outdoors. Indoor Sea grape bonsais stand a lower chance of producing fruits but then again, it is not entirely impossible. If you are lucky to get the grape-like, purple fruit, you can use them to prepare mouthwatering homemade jams, for example. Nevertheless, eating the fruits raw is also nothing less but a delight for the senses. Another interesting characteristics of Sea Grape bonsais is their one-of-a-kind red vein, which looks as if it cuts through the leaves. The round, leathery leaves appear stunningly beautiful with the red vein running through the entire base of the leaves. That very same vein causes the entire leaf to turn red with age. The bark of Sea Grape trees is no less intriguing itself. It has a smooth surface and yellow hues. 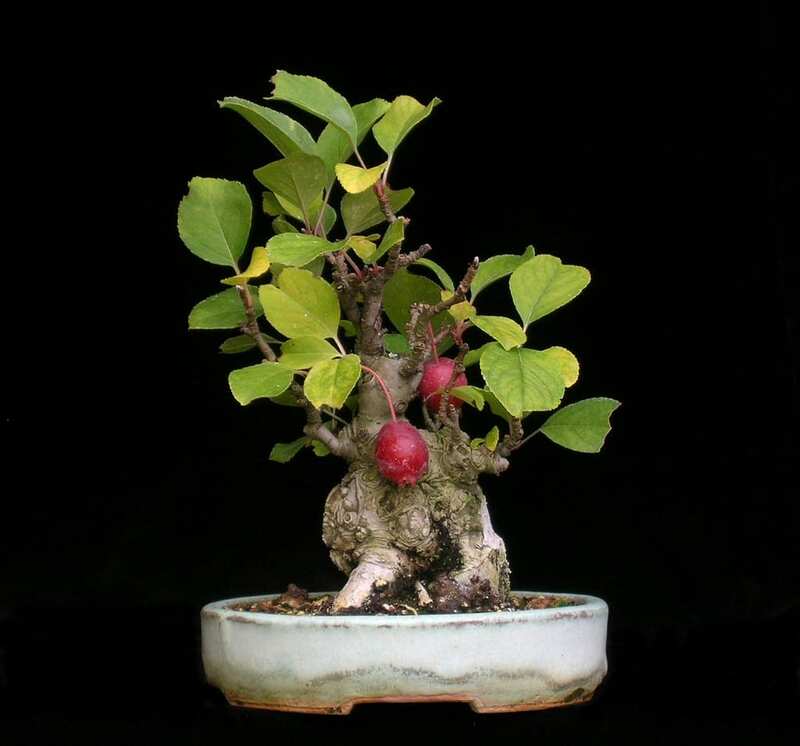 A Sea Grape bonsai tree can be easily cultivated through a seed or a cloning. 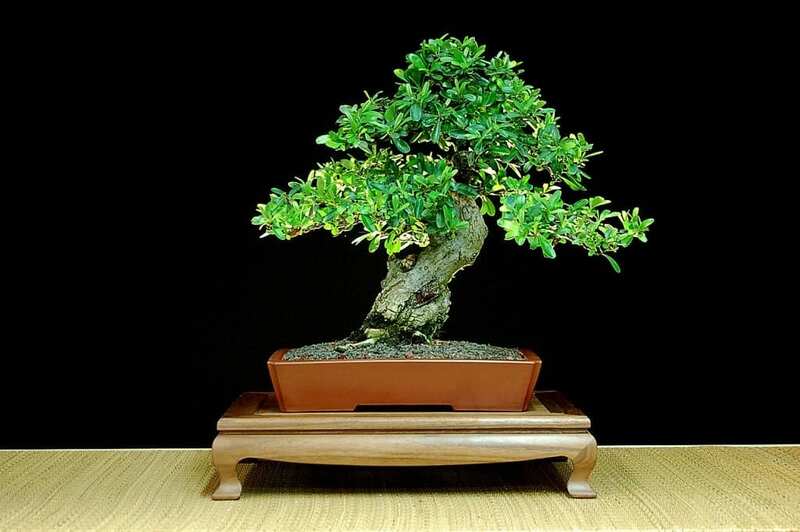 The Serissa Bonsai tree has most deservedly earned the nickname “Tree of a Thousand Stars”. 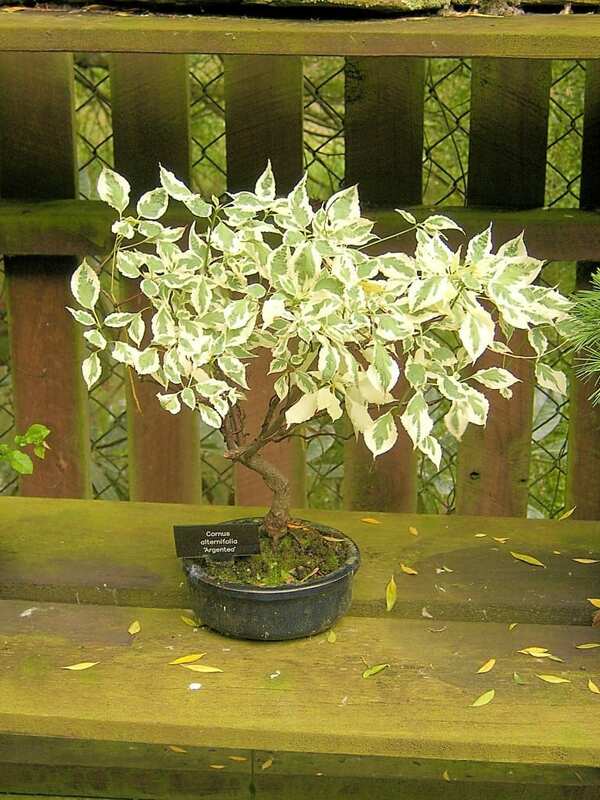 That exotic sobriquet comes from the fact that Serissa trees are covered in delicate white flowers, which remain present all-year-round, spreading beauty to anyone who is lucky enough to grow one of those uniquely elegant bonsais. 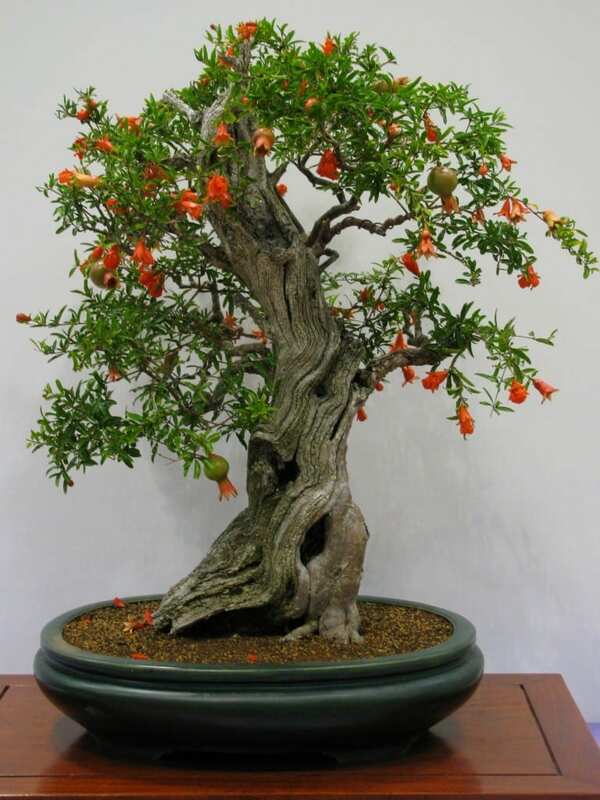 Nevertheless, it is not solely the ever-present tender flowers which capture the eyes of both the bonsai cultivator and the mere contemplators when looking at a Serissa bonsai tree. The foliage is glossy, vital green with spiny branches, which make up for a dome-like canopy. Serissa bonsais undergo training very well and can be shaped into endless stunning designs. However, these trees also tend to be quite particular in terms of growing demands, so they do require some care and attention. 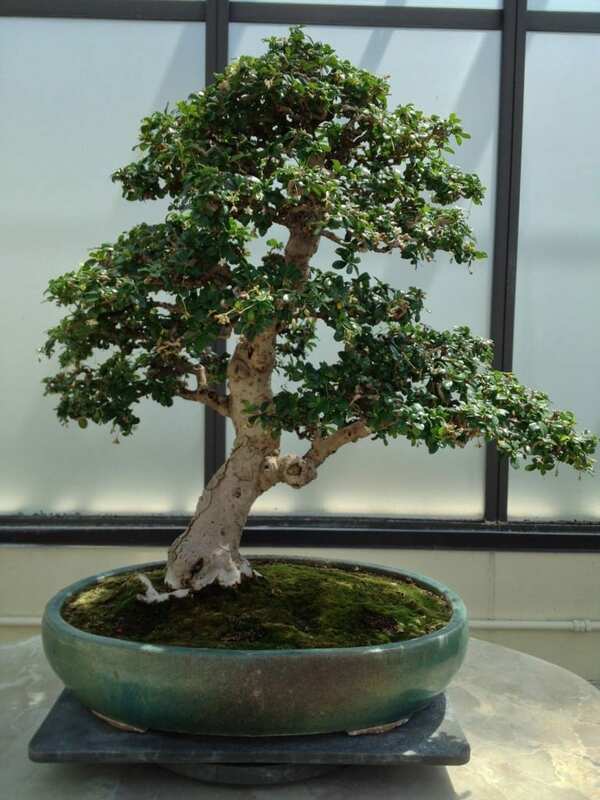 But with the ease of pruning and provided the right conditions, Serissa bonsais are unarguably among the most beautiful and rewarding bonsai specimens. 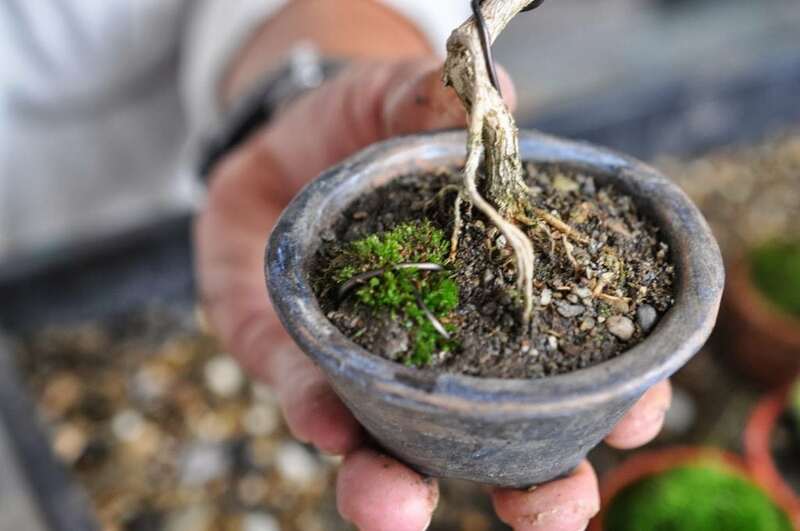 Ultimately, you can expect to see vigorous growth of your Serissa bonsai, and thus, styling and shaping becomes even more joyful, regardless of your level of experience with Bonsai cultivation. Trident Maple Trees are not merely ideal for the practice of Bonsai. Instead, it is exactly Trident Maple trees, which are widely used throughout the entire globe for planting along sidewalks and parks in many of the world’s biggest cities. Of course, there is no coincidence in choosing Trident Maple trees for the purpose of elevating the atmosphere of cities, which are in dire need of more trees to fight pollution and global warming. One of the major characteristics of Trident Maples is that they are very sturdy creatures. As a matter of fact, those species are so hardy, that they can undergo a tremendous array of rough conditions, including dry soil, the air pollution mentioned above, and nonetheless, severe pruning. 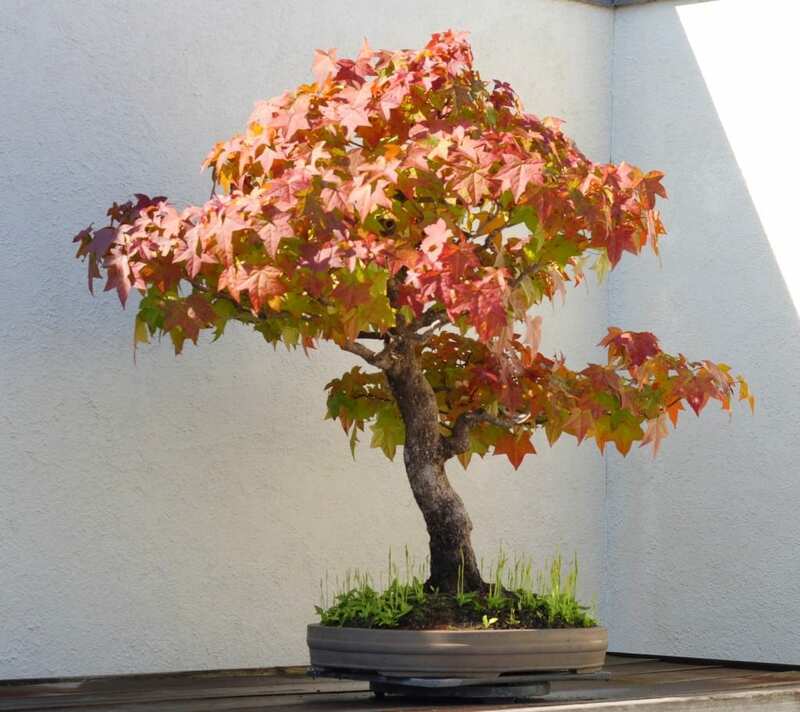 All of these unique traits, along with the majestic looks of Trident Maples make them ideal for bonsai cultivation. Keep in mind that your Trident Maple Bonsai tree will grow at very fast pace, which obviously requires regular trimming. 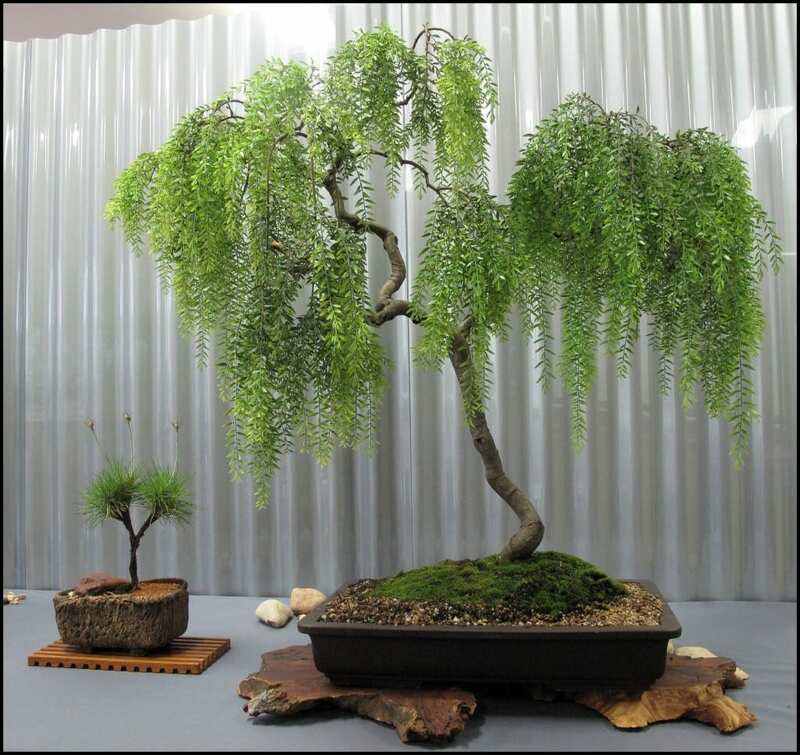 If we had to rank all the various types of bonsais in terms of popularity, then there is no doubt that the Weeping Willow Bonsai trees would be among the top positions in the category. It is not merely because of the wide availability of Weeping Willow trees on the market, though. Weeping Willows are so mesmerizingly beautiful that it is hard even for the most cold-hearted individuals not to feel the sense of complete harmony along with the notorious sense of nostalgia, part of the postulates in Bonsai cultivation. And while the very roots of this type of tree are said to be somewhere in China, Weeping Willows are among the most widely-spread varieties, effortless to find all around the United States. Apart from the striking shape of the branches, which have granted the name of this tree specimen, the tiny catkins are yet another favored feature among horticulturalists. Willow bonsai tree will last for about 25 years, and that’s in the case you have taken proper care of it. Mostly due to the brittle nature of the branches, it is hard for Weeping Willows to exceed the 25 years life-span. But for the time you are maintaining your Weeping Willow bonsai tree, you will be generously rewarded with the exquisite beauty of these nostalgically majestic creatures. Wisteria plants can be seen to grow and thrive in many parts of the world, including Asia, the United States, and Europe. It is no wonder why the 4 super stars of the Desperate Housewives blockbuster series inhabited the notorious Wisteria Lane Street, where the spectacular flowering plants were in abundance. But it is hard to see more beautiful Wisteria gardens than those in Japan. The incredible ability of the Japanese to represent the beauty of nature in the most whimsical way makes the pictures of the Ashikaga Flower Park look more like postcards than actual photos! Anyway, it is good to know that Wisteria species are actually shrubs but when introduced to the principles of Bonsai, they resemble incredibly well miniature trees in bloom. 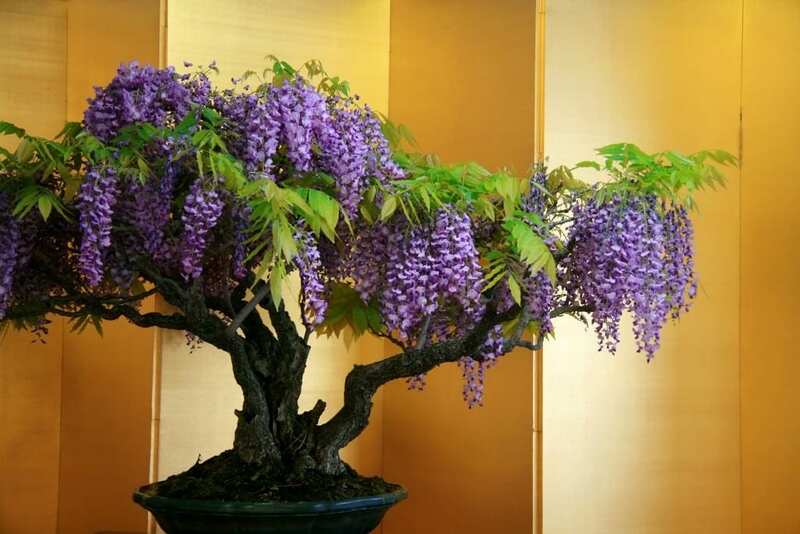 Probably one of the rarest qualities of Wisteria Bonsai trees is the fact, that they will not grow their spectacular flowers for at least 10 years of the start of their cultivation. On the one hand, this might turn off some Bonsai connoisseurs. But on the other hand, this particular trait of Wisteria bonsais only adds to their rare exquisiteness and increases their value to the dedicated Bonsai aficionados. All of your great deal of care and patience will be ultimately awarded once you get the chance to mesmerize into the beauty of the fragrant blossoms. One can find the roots of Zelkova tree species in China and Japan, where they have initially originated. There are two types of Zelkova trees which are suitable to turn into Bonsai masterpieces. Zelkova trees are closely related to Elm trees, and as such, they are also referred to as easy to grow even by amateur bonsai gardeners. One of the major advantages of Zelkova bonsais is that they are among the most highly-resistant in terms of diseases. That particular trait is not to be underestimated. 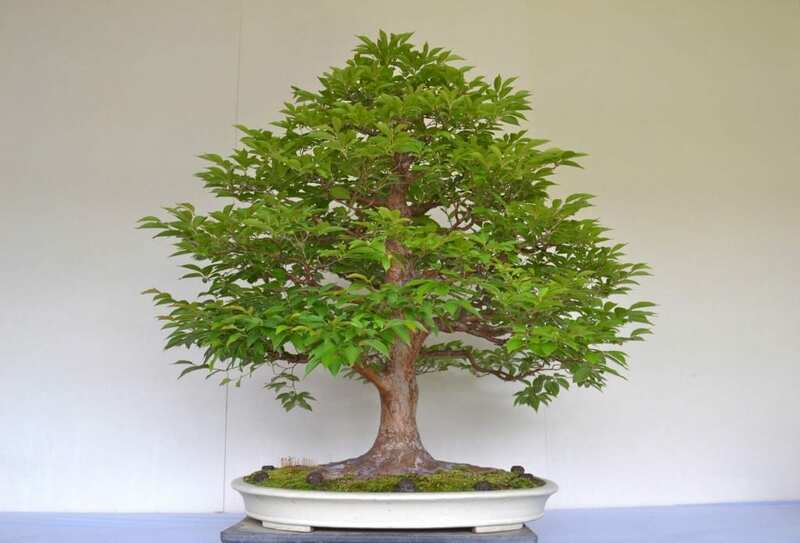 And while many other bonsai tree varieties will suffer from possible diseases and challenge their cultivator, Zelkova plant species show to be very sturdy and thus, pose less possible problems to bonsai gardeners. 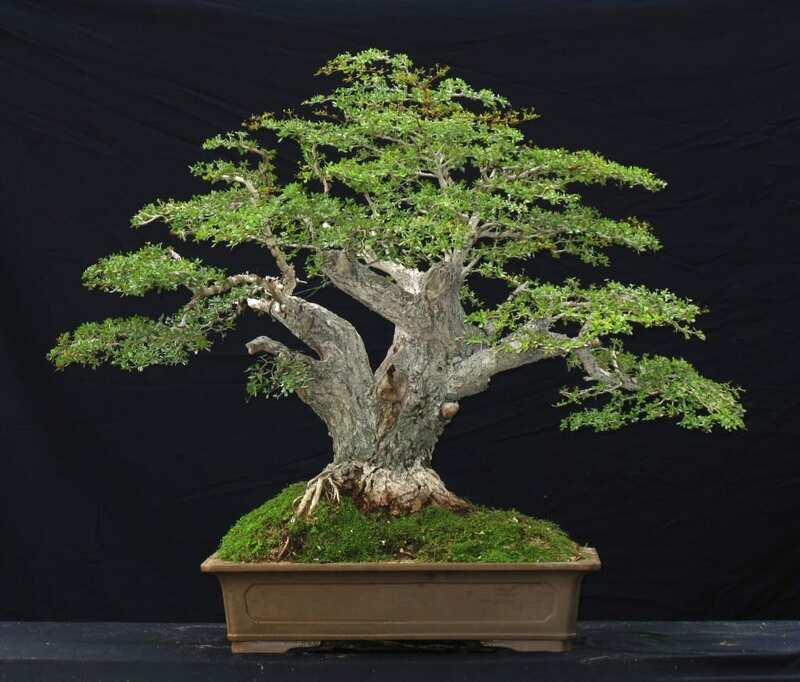 Most Zelkova bonsai tree species are associated with the Broom style. The branches create a lovely arc-shaped crown. As what we can expect from a Deciduous tree variety, Zelkova bonsais leaves will change their color seasonaly. But what is unique for Zelkova species is that the leaves will emit a subtle, sweet-smelling aroma, which is distinct when the weather is cold and will be no longer discernible once the leaves change color.